Deme Cisse is a Senegalese veteran who fought under Idrissa in a Tirailleur company. After arriving in France and deemed unfit to serve on the frontlines, they are asked to destroy German anti-air emplacements and capture a German position. Fighting against better-armed German soldiers, the Tirailleurs manage to succeed, and emboldened by their success, Deme rallies the other Tirailleurs into pressing ahead, arguing that they’ve done more than the regular French forces has thus far. The Tirailleurs press into German-held ground and attempt to take out additional German anti-air guns, but several Tirailleurs are captured in the process. As they destroy the last of the guns, a wounded German soldier taunts the Tirailleurs, saying that they are surrounded. In order to deceive the Germans, Deme recommends pushing ahead and capturing a château under German control. After clearing a village out, the Tirailleurs head for the château and defeat the German forces guarding it. However, a Tiger I appears and opens fire on the Tirailleurs. 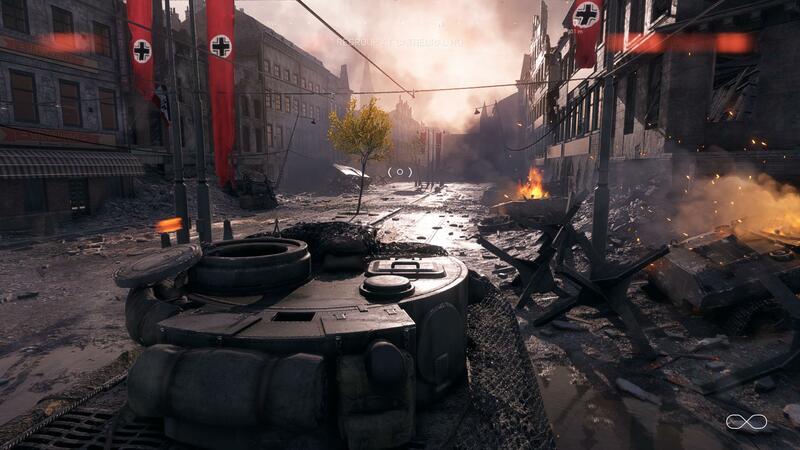 Idrissa manages to approach the tank and disable it with a grenade, but dies in the process. When Deme breaks into the château, he finds wounded Germans everywhere. The French captain arrives and congratulates the Tirailleurs, asking for a photograph, but the Tirailleurs are removed from the photograph later. Even though history failed to record and recognise their considerable contributions to the war, Deme remarks that he knows what they’ve done. In the course of World War Two, a total of two hundred thousand Senegalese Tirailleurs fought for France, and in 2010, France would award full military pensions to the surviving thirty thousand veterans. Twenty-eight Senegalese Tirailleurs would be granted French citizenship in 2017 by former French president Francois Hollande, indicating that their heroics had not only been remembered, but also celebrated. The Senegalese Tirailleurs were light infantry recruited from Senegal; formed in 1857 by Louis Faidherbe, the Tirailleurs were meant to act as soldiers to offset the limited number of soldiers in French colonies. They would serve in both World War One and World War Two, but for the most part, their contributions have remained quite unknown. This is the theme that the Tirailleur war story portrays – while every soldier has a story to tell, not every soldier’s story is recorded into the annals of history. Seeing things from the eyes of a Tirailleur brings to light the sorts of challenges and struggles they had while fighting in France; from the distain of the regular French Army to the power their enemy has brought to bear, the Tirailleurs fought an exceedingly difficult battle in France, and did so with distinction. Against all expectation, Deme and his brothers-in-arms manage to accomplish what was thought to be suicidal. A French captain is impressed with their actions, but the social climate meant their actions would be skated over and go uncredited. In spite of this, Deme believes that his actions were not in vain, and that regardless of what the world may otherwise be told, he remembers what he did and knows that their actions counted for something. When I played through the Tirailleur war story, I immediately found a relatable story – I recall a personal story during high school where I single-handedly finished the yearbook when all of the IB students pulled out, and one of the IB students was given recognition for finishing the project. My personal belief is that I will do what is necessary to get things done, and people have taken advantage of my work ethic for their own ends. I had joined the Yearbook Club to make yearbooks, and strove to finish it simply because it would be a a record of classmates’ memories, which I could be proud of. The day the yearbooks arrived from the print shop, I was called out of class to help the yearbook advisor unpack the yearbooks, and seeing the finished product was something that made me far happier than receiving a medal could. Deme similarly knows what he accomplished counts for something, and even if others may not recognise his achievements, he still knows and can be proud of it. 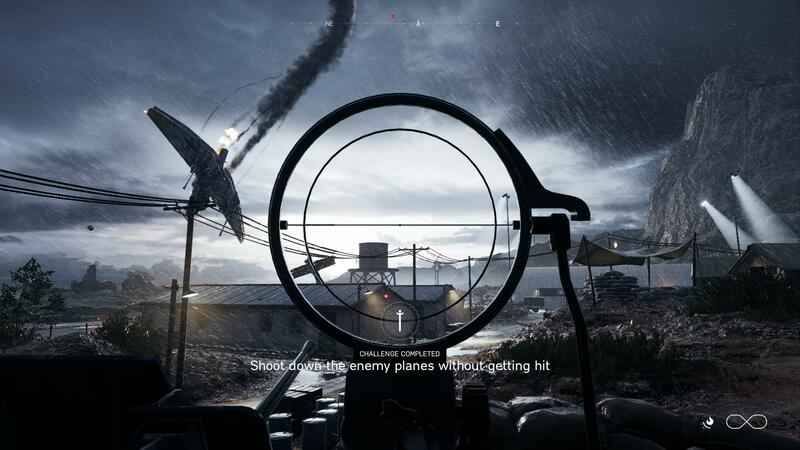 Deme starts Tirailleur with the Chauchat LMG; this distinct-looking weapon made an appearance in Battlefield 1 as a support weapon that I found to be quite difficult to use at my preferred ranges as a result of its low fire rate. 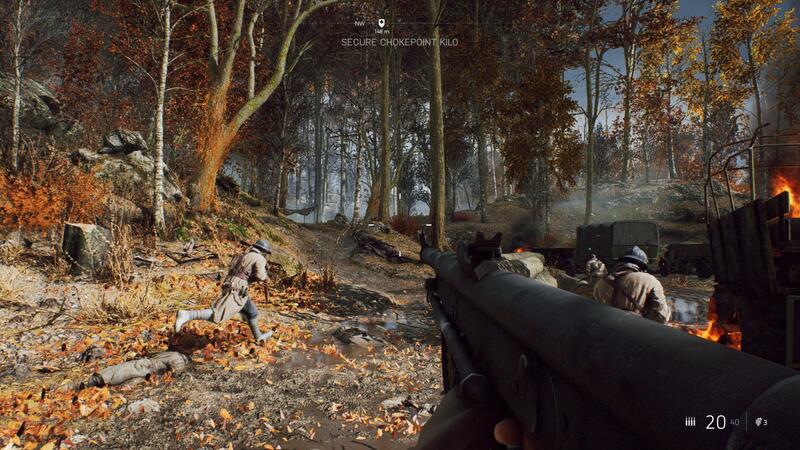 From a design perspective, the Chauchat was an innovative weapon that can also be thought of as a precursor to modern battle rifles, although its unusual magazine meant it was susceptible to jams. 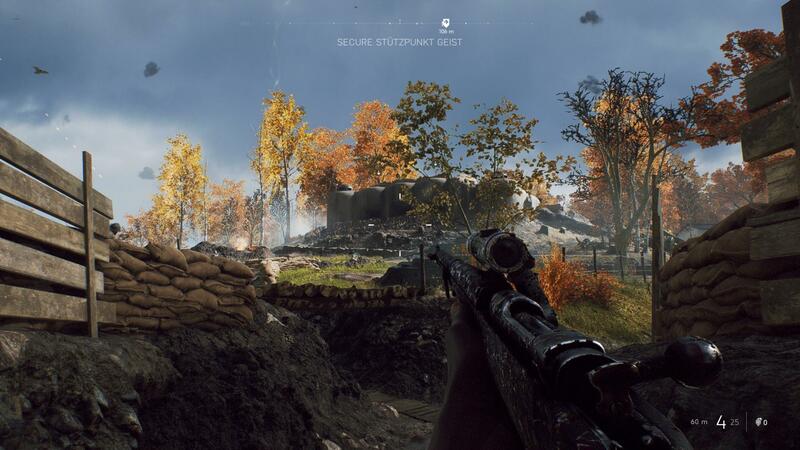 Tirailleur has the second-nicest environments in Battlefield V‘s war stories: the autumn forests and orange foliage look amazing amongst the shafts of volumetric lighting. The aspen groves in my area cover the ground in leaves of yellow during the autumn, and during this time of year, I find it to be especially pleasant for walks. While still quite warm, later summer and early autumn days are not as hot as mid-summer, and nowhere nearly as cold as a Real Canadian Winter™, making it perfect for being outside. 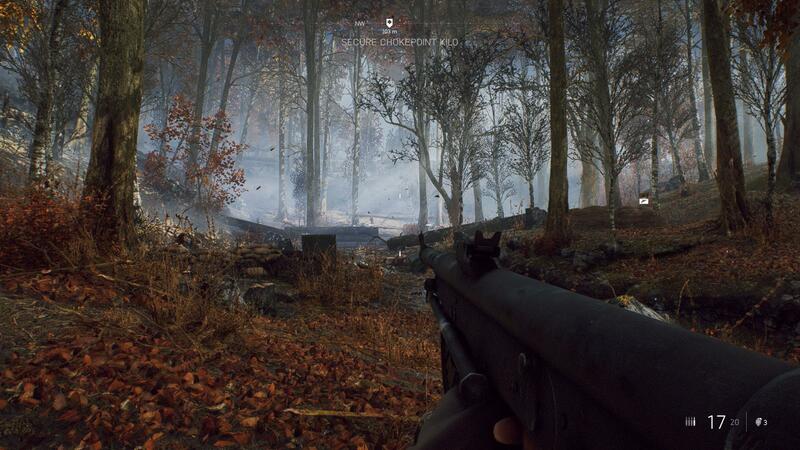 The Chauchat’s low rate of fire works to its advantage, but I eventually switch over to other weapons to improve my adaptability. 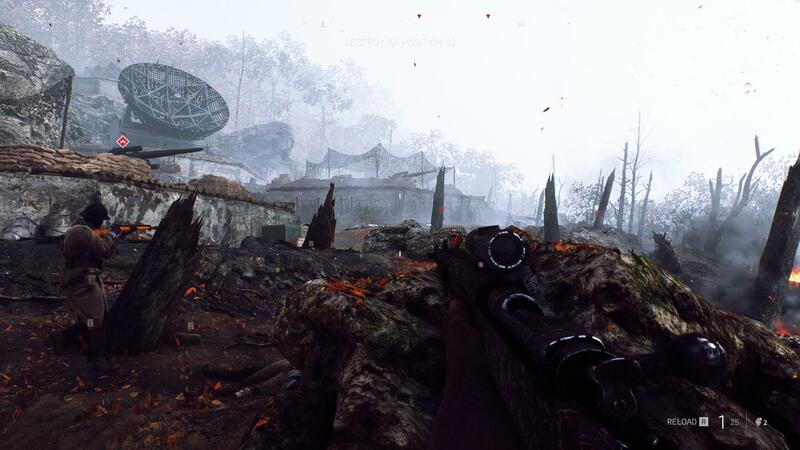 After clearing out a German position, I find an FG-42 among the host of semi-automatic rifles. 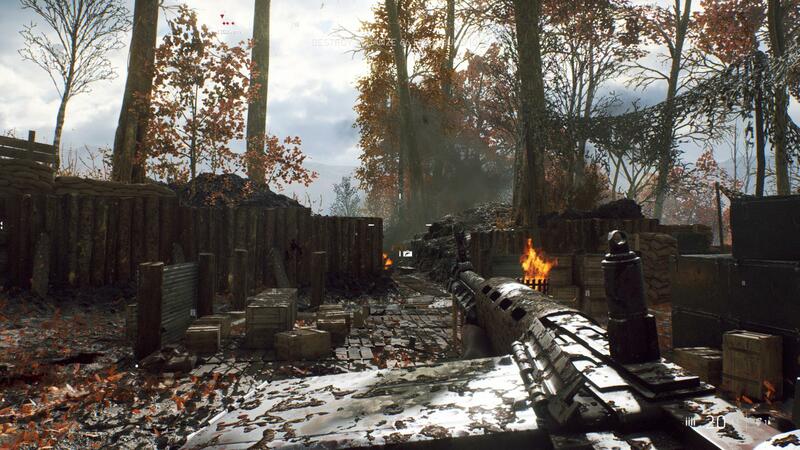 The FG-42 remains a solid choice for mid-range engagements even with its iron sights, and in the campaign, the lack of options for changing out the weapon sights means that I’m more ineffective with semi-automatic or bolt action weapons. Deme passes over a ridge and into a gully below lined with concrete Drachenzähne (Dragon’s Teeth), designed to slow down armour. These constructs were employed widely by both Allied and Axis powers, and their construction means that many installations are still intact. 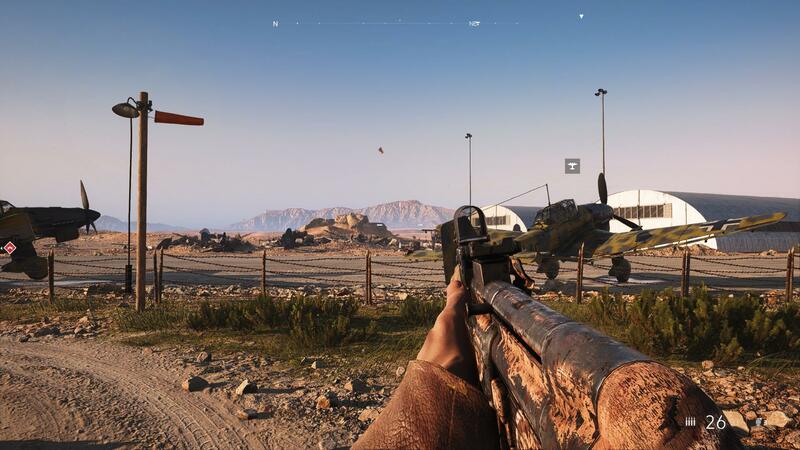 The wide open spaces here means that having a good long-range weapon becomes an asset: I picked up a scoped M.95 Gewehr and used it to pick off enemies, but ammunition scarcity forced me to push on ahead. 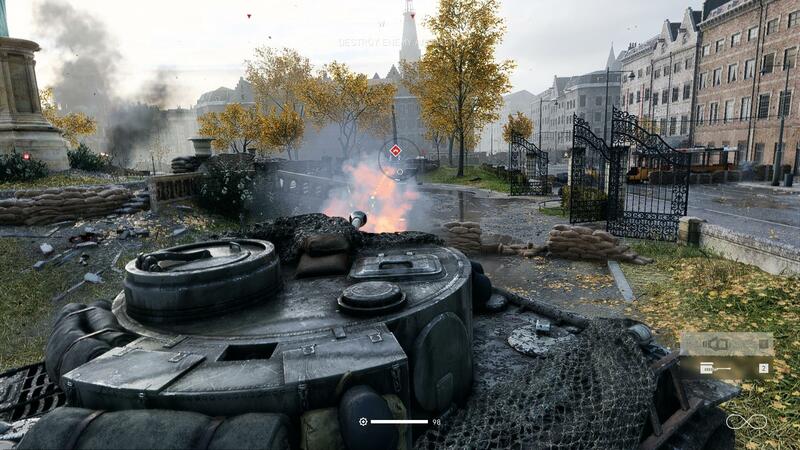 A multiplayer map similar to this area of Tirailleur could be a solid choice for the breakthrough and frontlines game modes: we’re nearly four months into Battlefield V‘s launch, and while new weapons and vehicles have been steadily introduced, what’s really missing from the classic Battlefield experience are new maps. 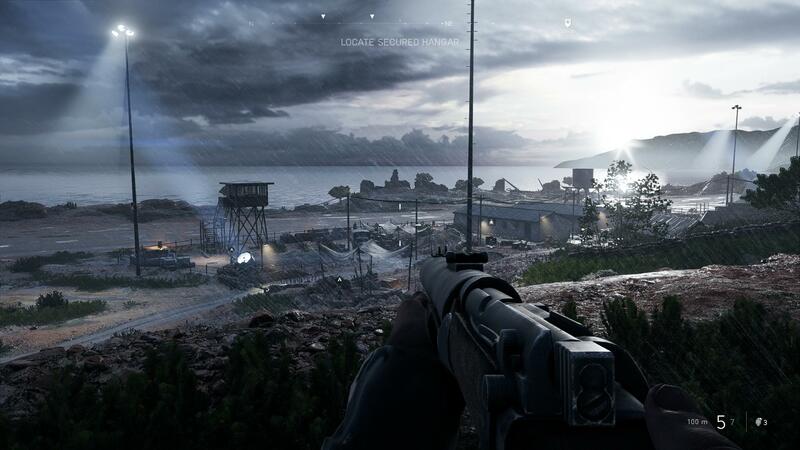 Battlefield V does feel distinctly minimal with its launch content, and while I’ve yet to hit the maximum rank for my medic and recon classes, I have reached level fifty now. 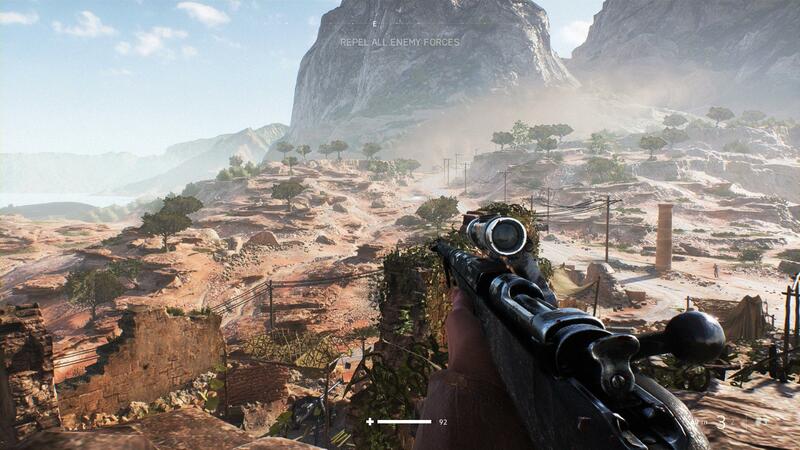 The limited map selection and absence of American, Russian and Japanese forces is especially noticeable. 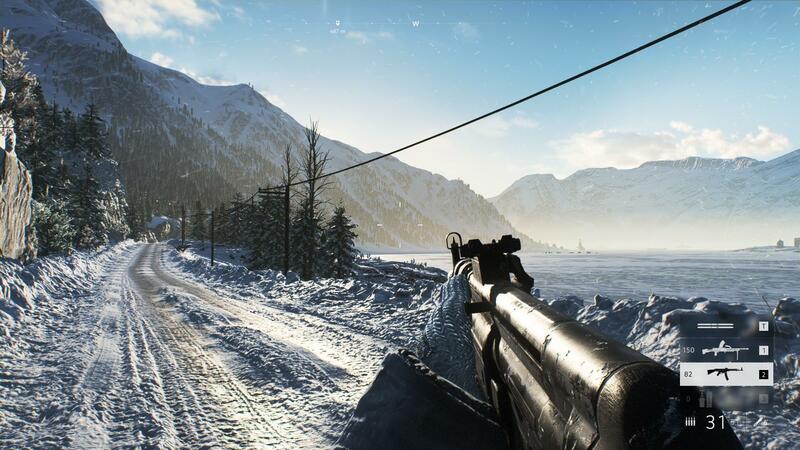 I am continuing to hope that Russians, Americans and Japanese soldiers, weapons and vehicles will make it into the game over the next two years; it is still early in the game, and should Battlefield V prove too dull, there are a host of other games I can play through in the meantime. 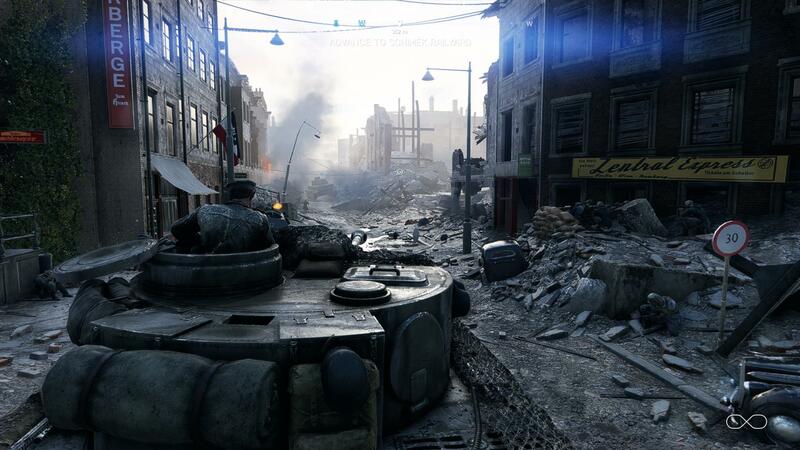 With this being said, the Tides of War weekly assignments have given me incentive to return and play the game: DICE has applied the Road to Battlefield lessons of old and managed to return me to the game, but what will really drive my excitement is new maps and iconic experiences like Normandy and Iwo Jima. 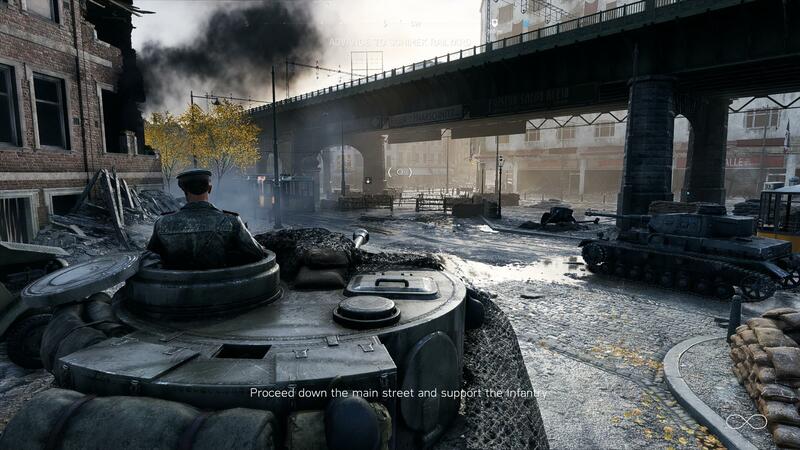 While it was disappointing to learn that the Tides of War won’t bring any new war stories into Battlefield V, I do understand that campaign missions can be quite labour-intensive to implement. 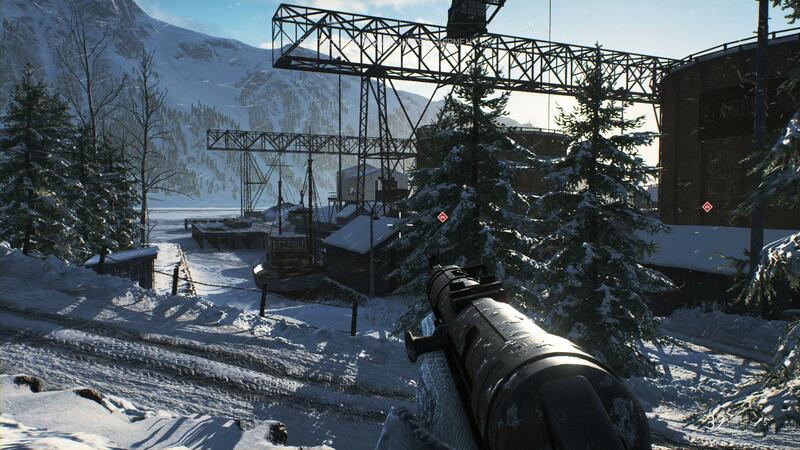 Besides event programming and voice acting, levels must also be designed to accommodate a single-player experience. 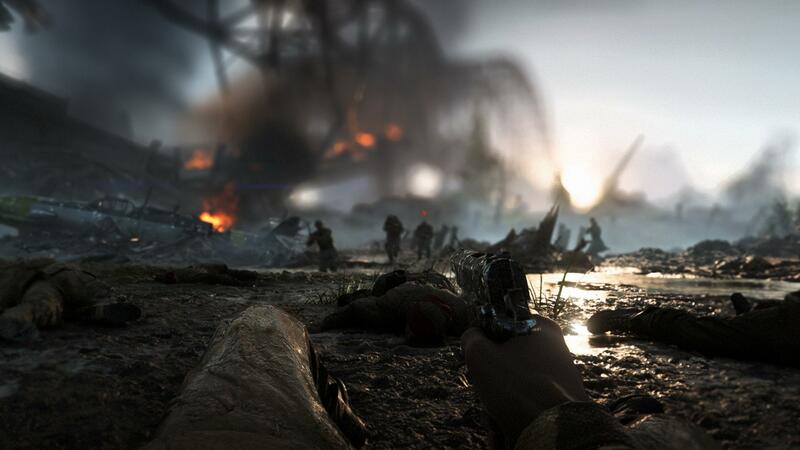 With this being said, I am not of the mind that future Battlefield titles should skip out on a campaign: I’ve never been a fan of pure multiplayer games, and a quick glance at my library shows that Battlefield is about the only series that I actively play multiplayer for. 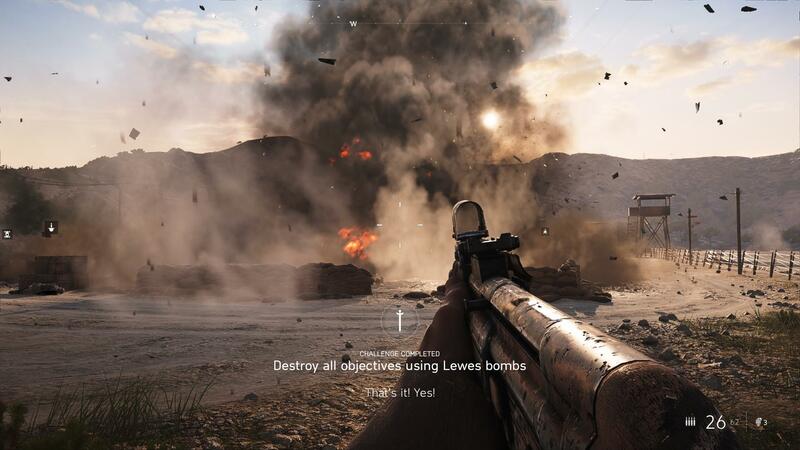 For me, a good game is an interactive, immersive experience. 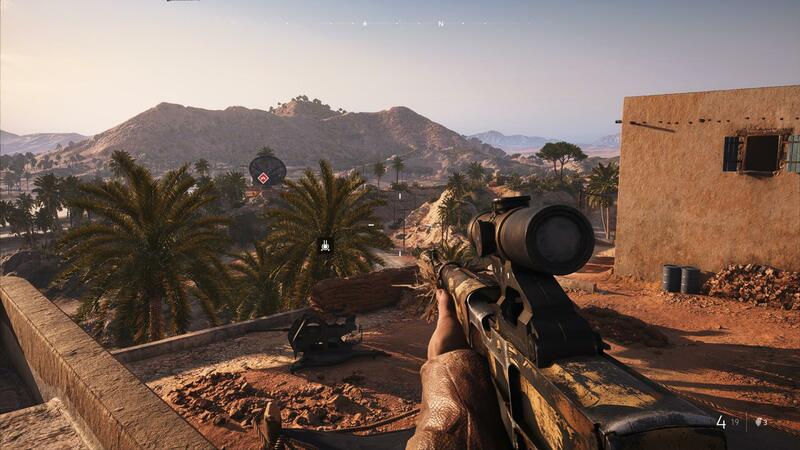 I play games for the same reason that I read books: to lose myself in another world and take in the sights and sounds developers, engineers, writers and actors/actresses have crafted into a virtual world to create a realm that merits exploration. 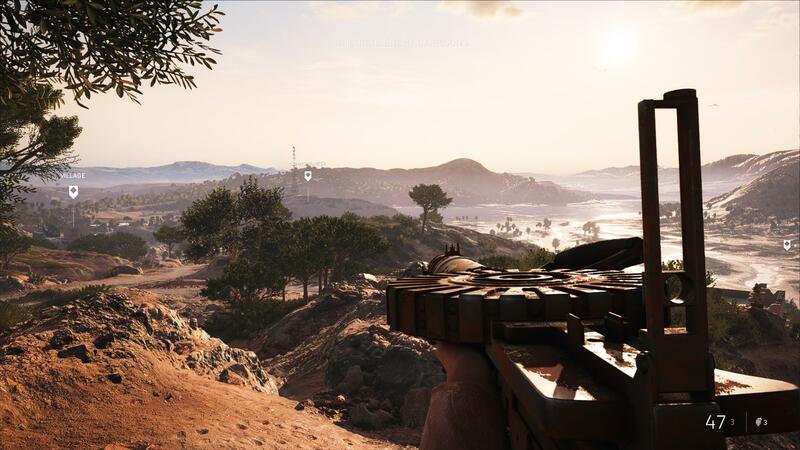 Single-player games are immeasurably enjoyable for this reason, and for me, is what defines gaming. 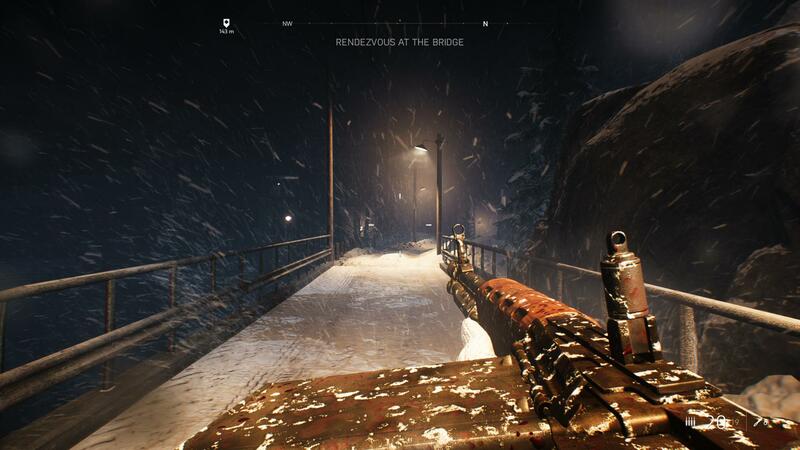 As such, it is fortunate that developers and publishers continue with single-player games that promote experiences: titles like DOOM and Deus Ex are examples of recent single player games with solid value. Once I reach the final point in Tirailleur’s first act, I managed to clear it out and found an MG-42. 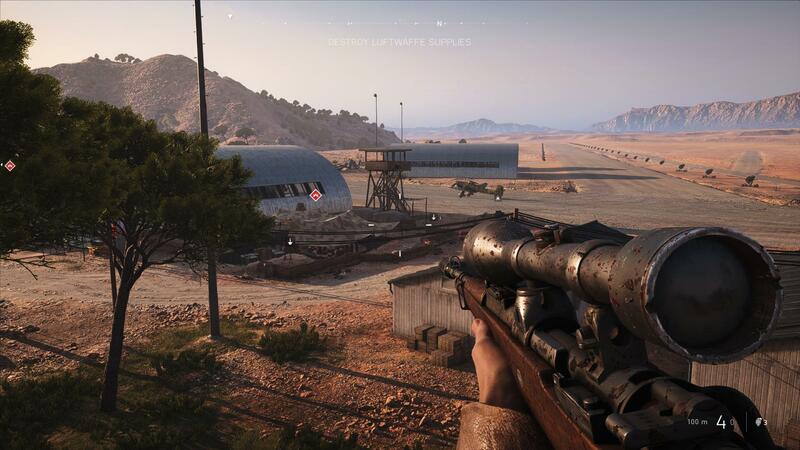 This is the last weapon unlocked for the support class, and it is a beast of a weapon with its firing rate. I’ve managed to unlock it and have made use of it, finding it an excellent defensive weapon. The only downside about the weapon is that even with all specialisations, one cannot accurately run a Strike Witches loadout: the drum magazines are not available for the weapon as it is for the MG-34. 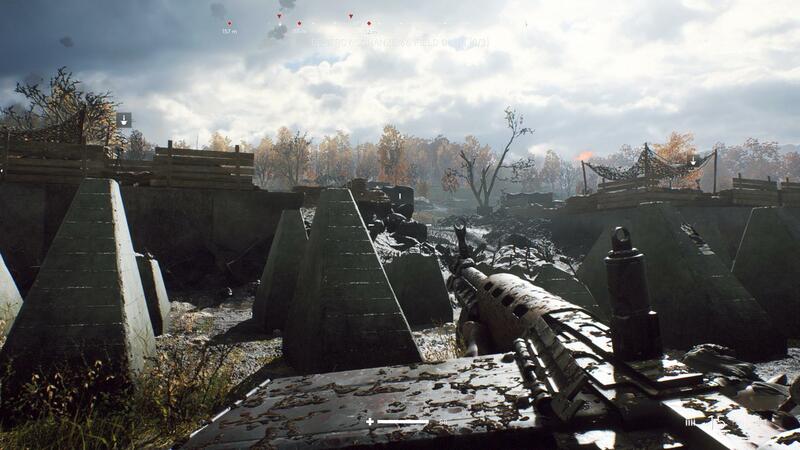 However, the MG-42 is a fine weapon: with up to 250 rounds and a distinct overheating animation where the player will swap out a barrel, the weapon is a joy to use. While Tirailleur’s first act involves going loud, the second act requires more stealth elements. 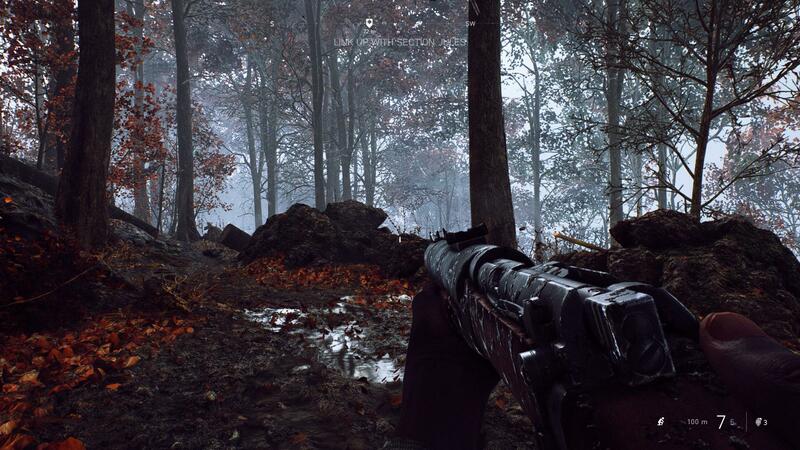 Deme is equipped with the De Lisle Commando Carbine, an excellent suppressed weapon that can be used to engage enemies at range. 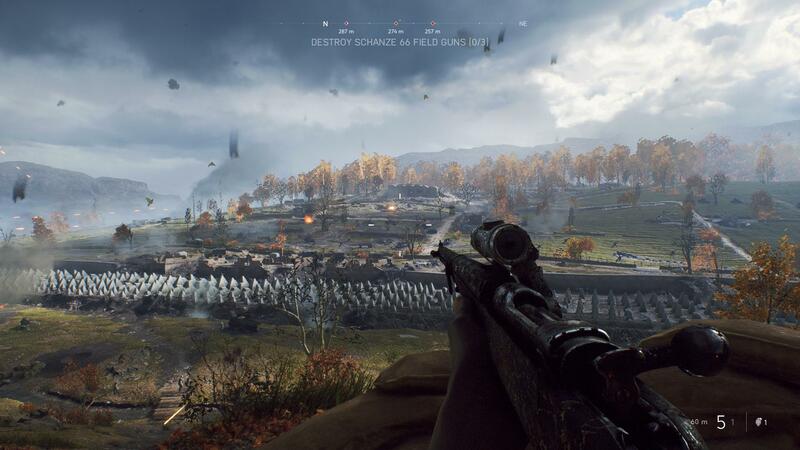 I find that stealth in Battlefield campaigns is out of place and strictly speaking, quite unnecessary: Battlefield is about shooting stuff, after all, and to go through a campaign while avoiding firefights, however realistic it might be, feels contrary to the point of a first person shooter. 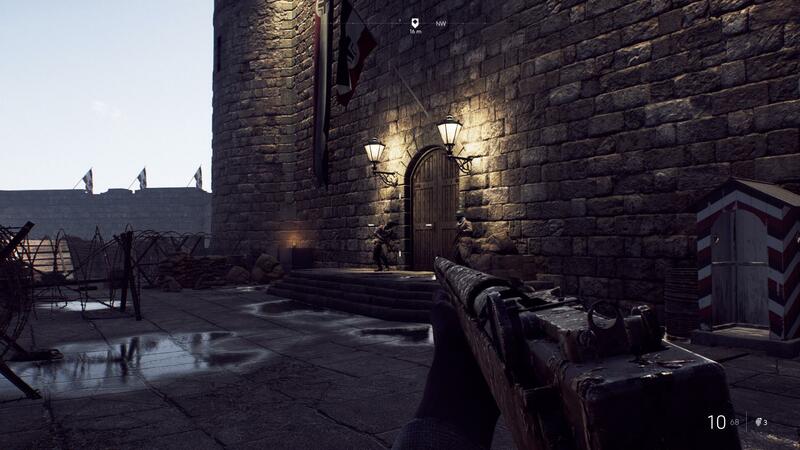 I’ve heard that the medic class will be getting a new class of weapons quite soon, and moreover, that this class of weapons will be suited for a longer-range playstyle that will allow medics to engage distant foes on maps where close quarters is in shorter supply. 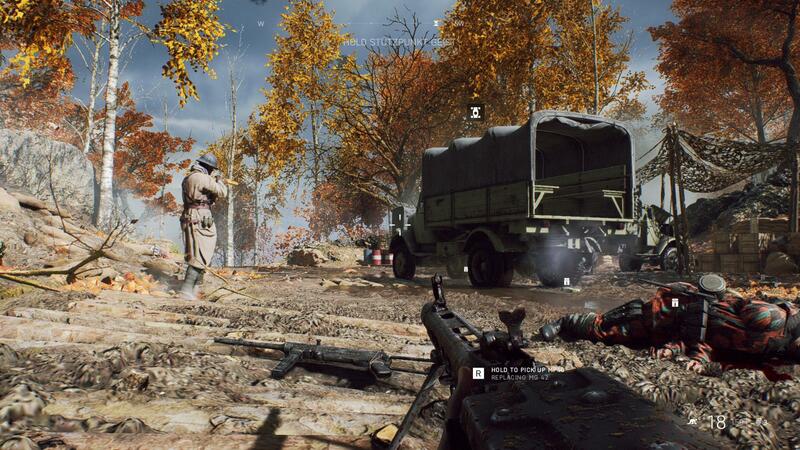 This is most welcome: having options is what gives players the sense that they are always ready to deal with whatever comes their way, and for the longest time, the medic was constrained to close quarters. 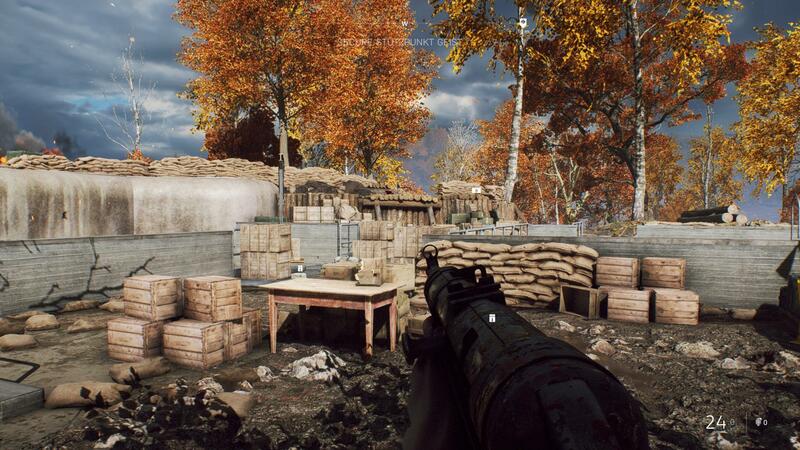 Here, Deme must sneak past groups of German soldiers to rejoin his unit, before they can continue taking out anti-air emplacements deep in enemy territory. I ended up giving up on stealth halfway through and proceeded to blast everything in sight: this is a recurring trend in video games, and I’m sure numerous other players have seen this happen. 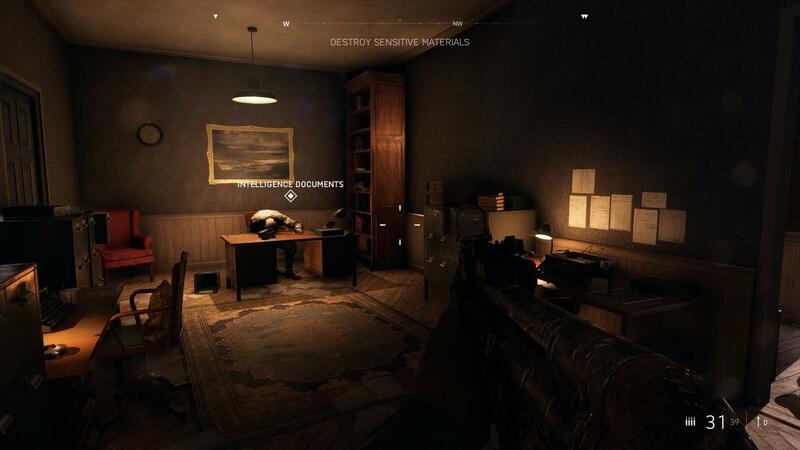 I am certain that there is probably a handful of flanking routes I could take to avoid detection, and this, along with an epic melee weapon, could merit a revisitation in the future. 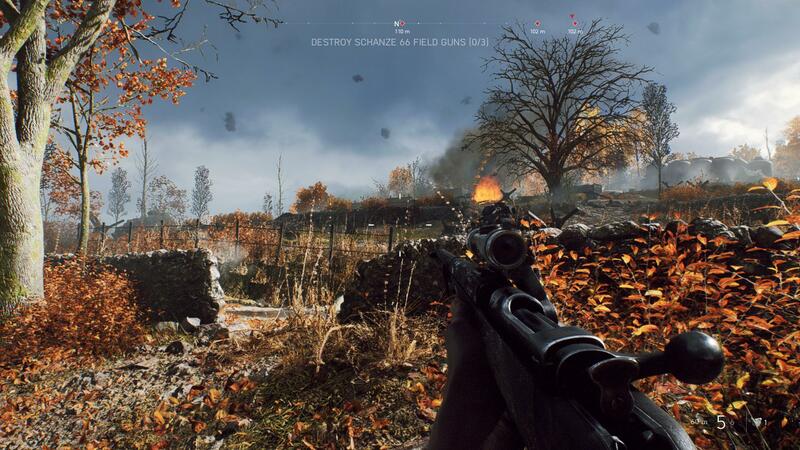 Once the fortified German positions are reached, it’s time to go weapons hot and blow up anything that moves. 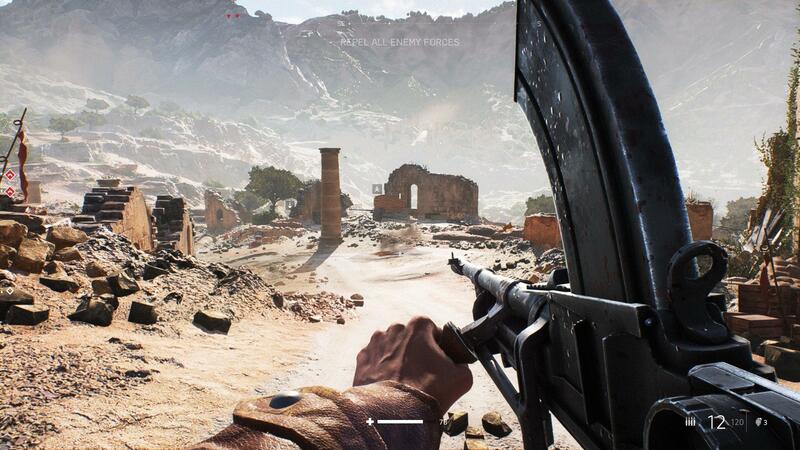 While I’ve hung onto the M.95 Gewehr for ranged combat, there’s no point in having two single-action weapons. 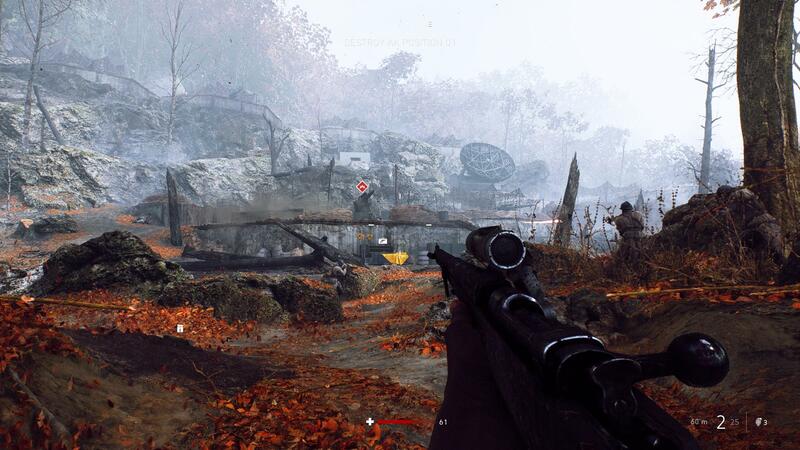 German soldiers here will drop MP-40s, and I gratefully swapped out the De Lisle for one. 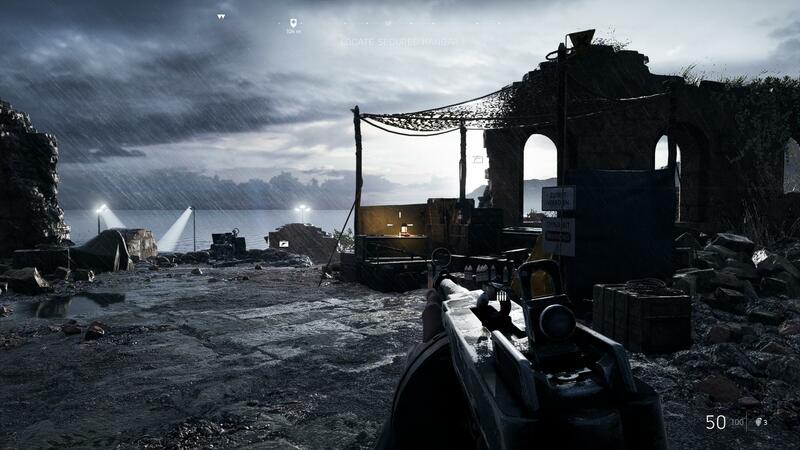 The MP-40 is an excellent submachine gun all around, and in the multiplayer, I’ve enjoyed extensive use of the weapon in close quarters, where the medics excel. It’s been some three months since I actually completed the Tirailleur mission: these screenshots were taken on the evening of December 3, and attesting to how busy I’ve been, it’s only now that I have found the time to write about my experiences. Fortunately, my recollection of these missions are excellent – for instance, I still remember that it was a cold evening early in December when I pushed through this mission. I had reached the end of the second act when I got an email with some documents I needed to fill out. 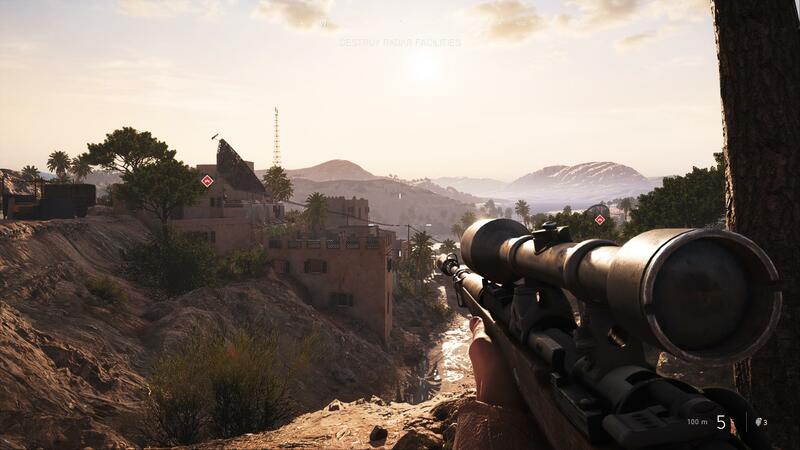 Overlooking the village, Deme must disable all of the weapons down below before his fellow Tirailleurs can advance. 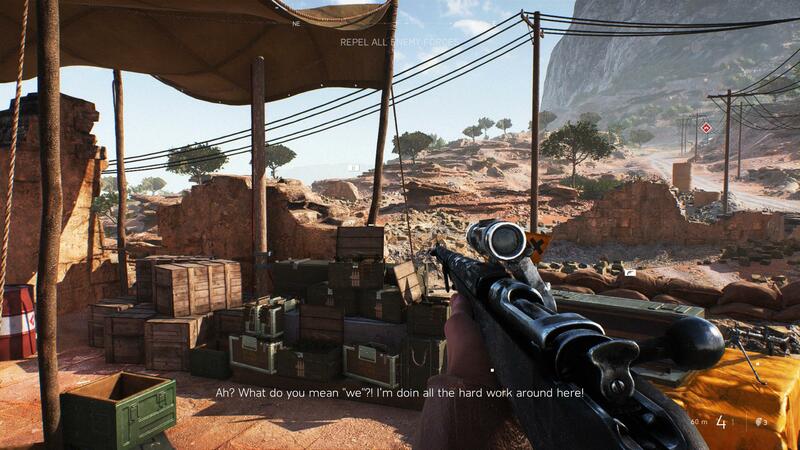 I was somewhat successful with a stealth approach and managed to disable one of the weapons without being detected. 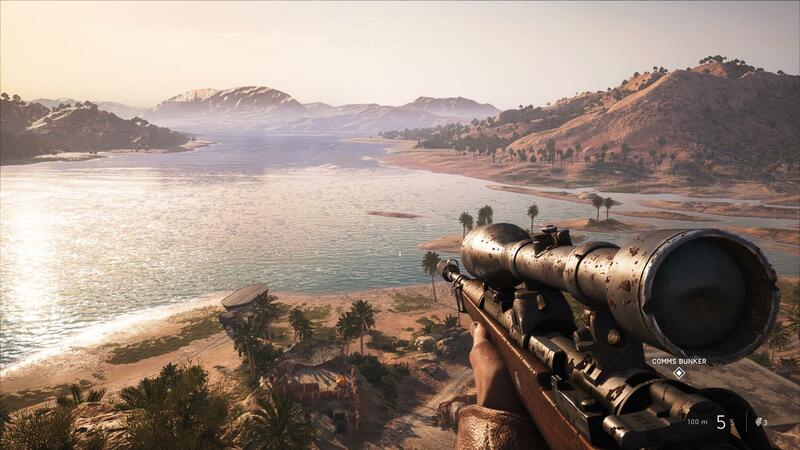 In retrospect, it was probably a better idea to keep the De Lisle, and here, I stopped to admire the scenery before continuing with the mission; it’s a beautiful morning, and all is quiet, but things are about to go loud very quickly. The story I recount above with the Yearbook Club is an older one, and a few evenings ago, I found the yearbook in question. In it, I see a younger self standing in the middle of the Yearbook club surrounded by people I was sure were only present in the beginning, since I hardly saw more than a third of the people actually doing club activities. I was on excellent terms with the club advisor, and do remember spending many club meetings where it was just us. Hence, I was surprised that the individual who won the Yearbook award was someone who I recalled as being largely absent from club activities after classes. For me, the real happiness was seeing how nice the printed yearbooks looked. I knew that I had put my best into making the books, and that’s what counts. With this being said, the school eventually did catch wind of my role in making sure the yearbooks came out alright, and on the night of the awards, I received an unengraved medal under the Yearbook Club category, which suggests to me that a last-minute decision was made. 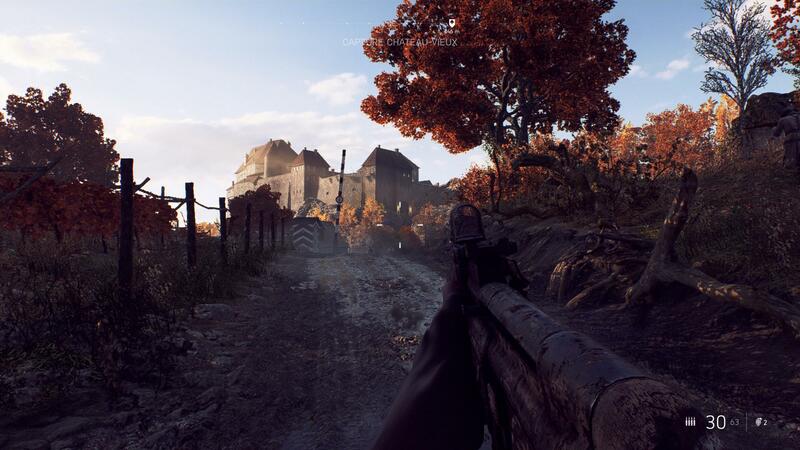 Here, I push up the hill towards the château: it is heavily guarded, and with other the Tirailleurs, I fended off the defending German forces, making use of a Panzerfaust I found to soften up enemy positions. 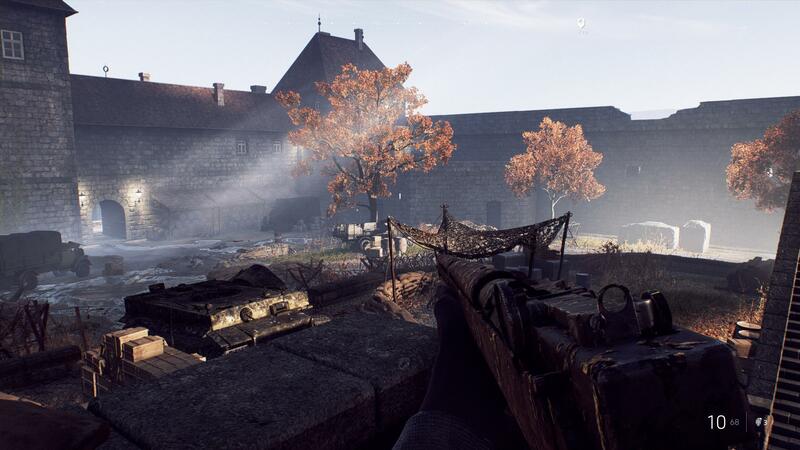 After reaching the top of the road and punching through the château’s main gates, I cleared the area of remaining Germans. 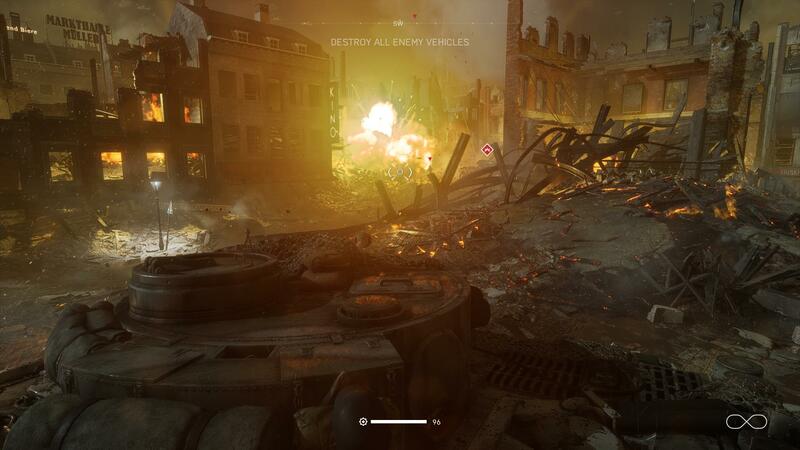 A Tiger I appears and wrecks havoc, but is destroyed. In the aftermath, the Tirailleurs secure the château, exceeding all expectations. 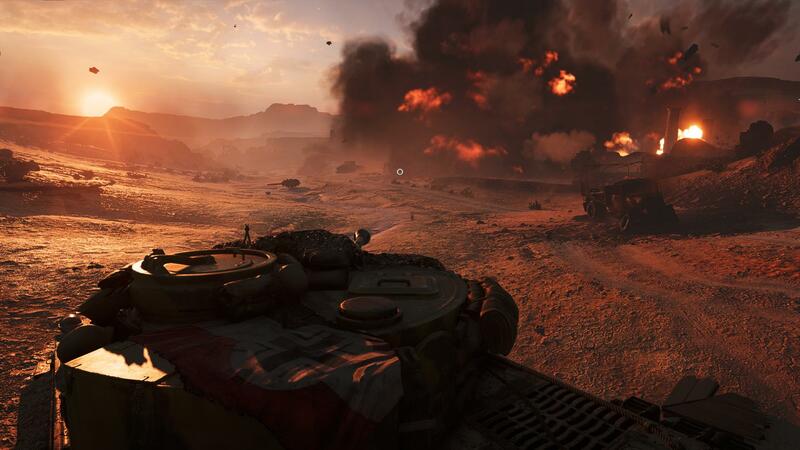 With this final act done, I’ve finished all of the war stories that were available at Battlefield V‘s launch, and the last remaining war story deals with the German perspective, so I’ll be writing from the perspective of a Tiger I commander. 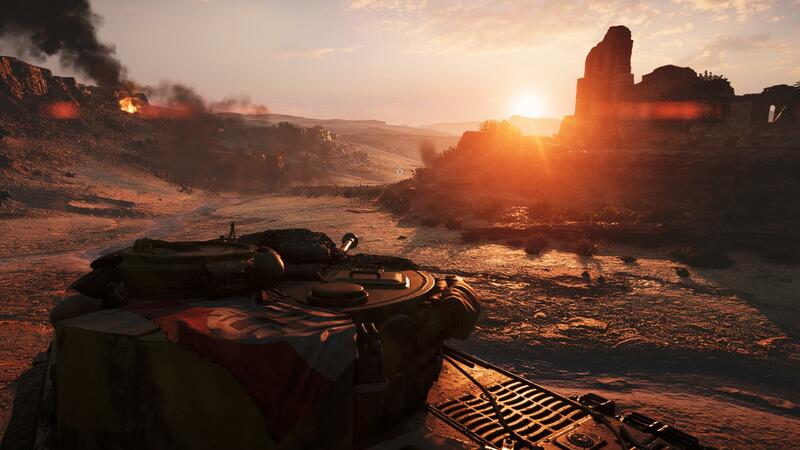 When I last wrote about Battlefield V, I remarked that the StuG IV Tides of War assignment was not worth my time. 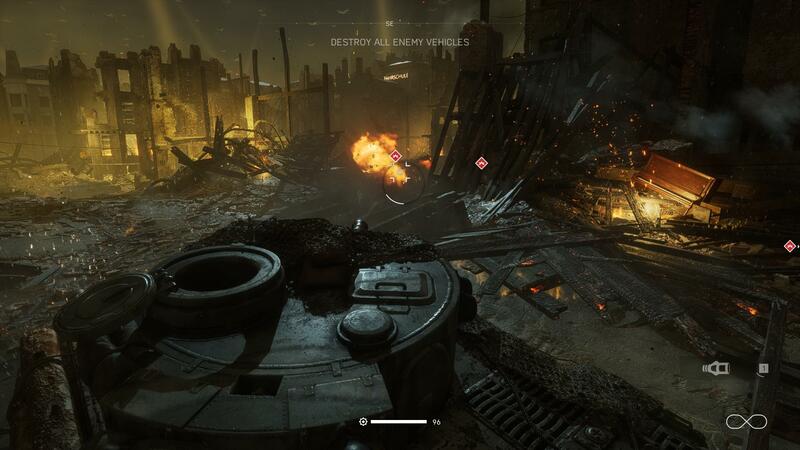 I ended up eating my words and somehow managed to achieve it the day before DICE decided to modify the assignment to only require five kills rather than twenty. 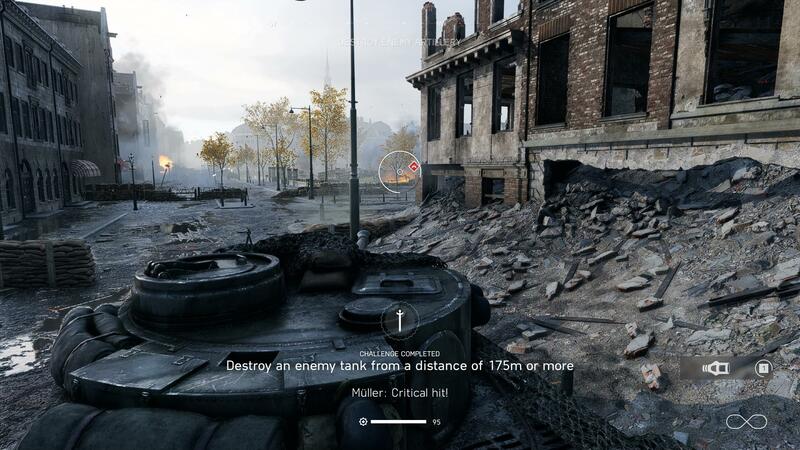 With this modification, however, players were left in limbo and unable to unlock the tank if they had more than five kills but less than nineteen. 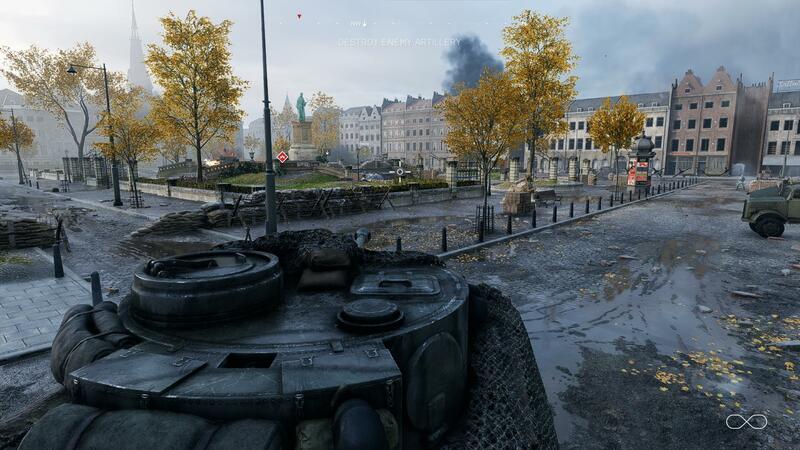 Perseverance had paid off for me: and thanks to how much time I spent in the gunner seat, I was already rank three for the tank by the time I got it. 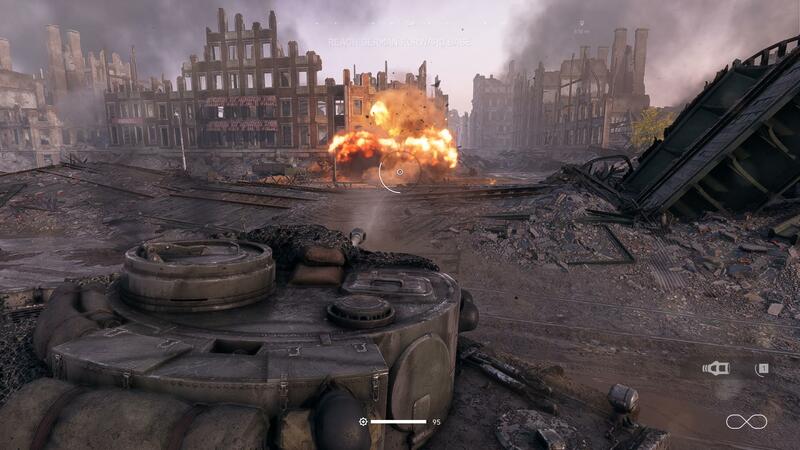 The assignments for the past two weeks have been more reasonable, and I managed to earn this week’s weapon, the Ross Mk III, in 90 minutes of gameplay. 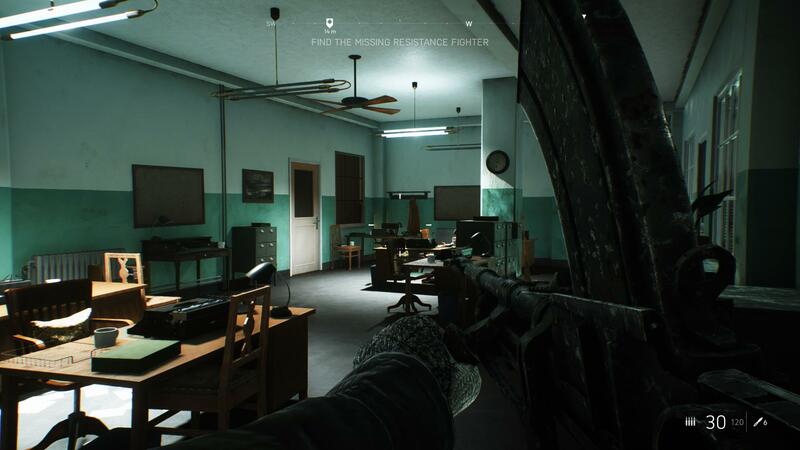 This leaves plenty of time in the upcoming days for going through The Division 2‘s open beta, which runs from March 1 to March 4. Today is also the last day of February: we leave the shortest month of the year behind, and I note that of the nine posts I wrote, six of them dealt with gaming. First and foremost, I should thank my readers for putting up with this. In March, I will be writing more about anime again – Non Non Biyori Vacation is out now, and I am looking forwards to schooling Anime News Network’s pathetic excuse of a review soon. I will also be writing about Penguin Highway and wrapping up my CLANNAD ~After Story~ revisitations. 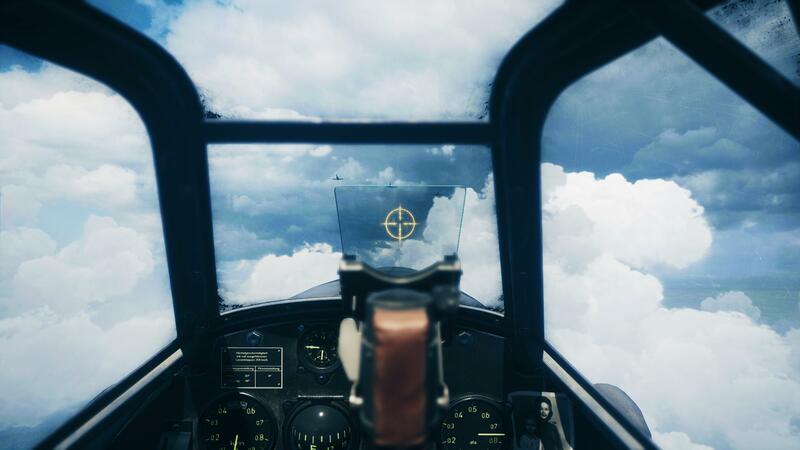 Readers, however, should be aware that I’m going through Ace Combat 7 at a smart pace. 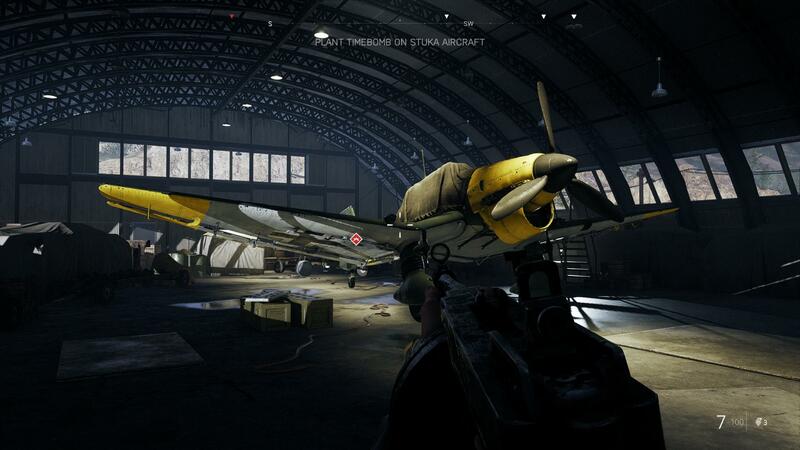 As well, I still have one more campaign mission for Battlefield V and at least one reflection of The Division 2‘s open beta. Hence, March will have its share of gaming posts, as well. Great accomplishments going uncredited, or else being credited to other individuals is an unfortunately common occurrence. 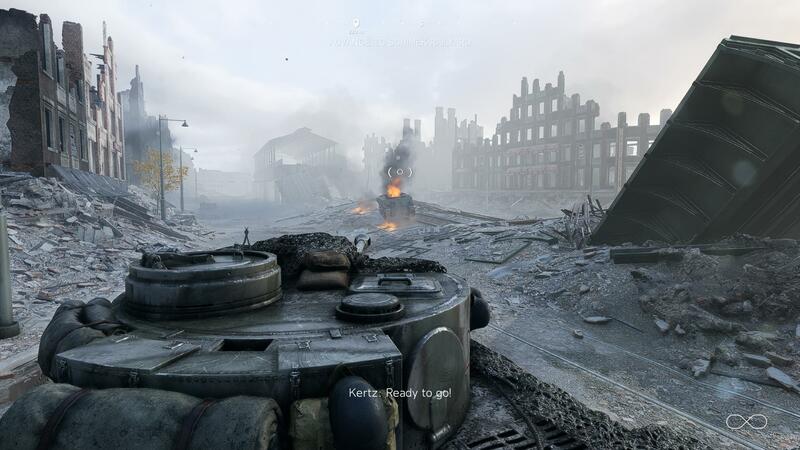 Because there is a bit of a personal story attached to this, I found that from a thematic perspective, Tirailleur is probably the strongest war story, underlying what Battlefield V‘s war stories were meant to accomplish – deliberately choosing to explore obscure and remote operations fought by individuals who never got much recognition shows the extent that World War Two impacted the world. In particular, Tirailleur’s dealing with credit (or a lack thereof) where it is due is a powerful reminder that there are numerous aspects of World War Two where heroics and sacrifice are untold simply because of how vast the conflict is. 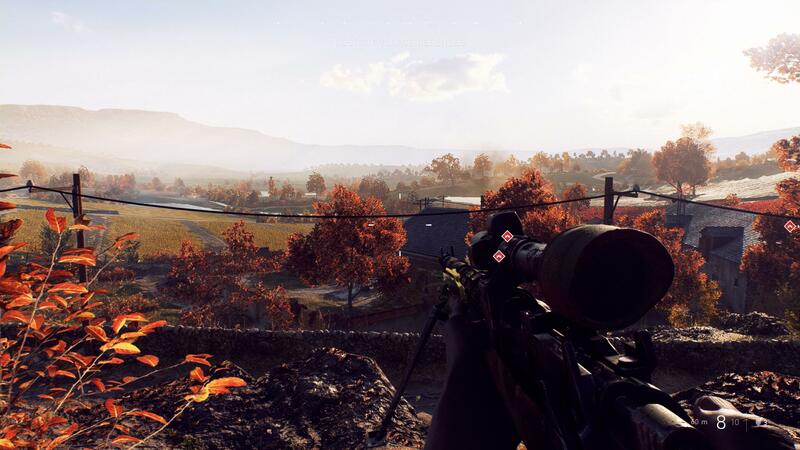 In conjunction with a vividly designed autumn level filled with oranges and reds of foliage, Tirailleur presents to players a solid experience that is probably the most consistent with older Battlefield campaign missions, as players are made to accomplish tasks in a bombastic manner involving good aim and good positioning. 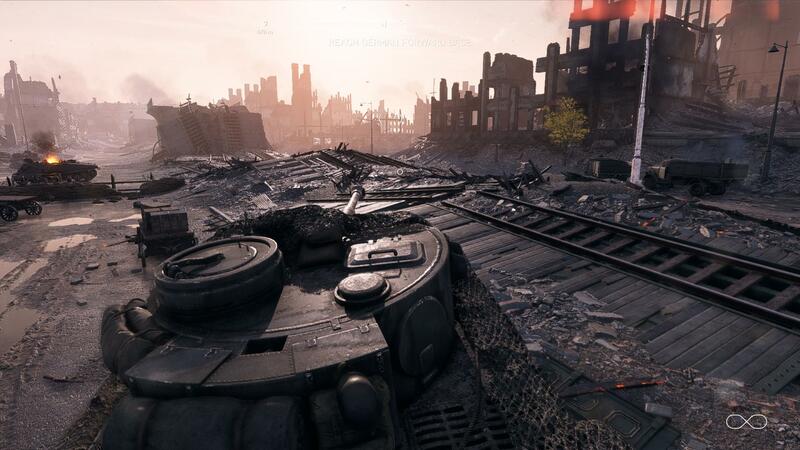 While the AI in Battlefield V‘s war stories leave much to be desired, the campaigns do offer a more relaxed, cinematic experience compared to the more chaotic and unpredictable nature of multiplayer. With this post in the books, I only have one more war story to cover, following a tank commander in the final days of World War Two as Allied forces close in on Berlin. Lieutenant Weber interrogates Astrid Bjørnstad about the location of resistance fighters. 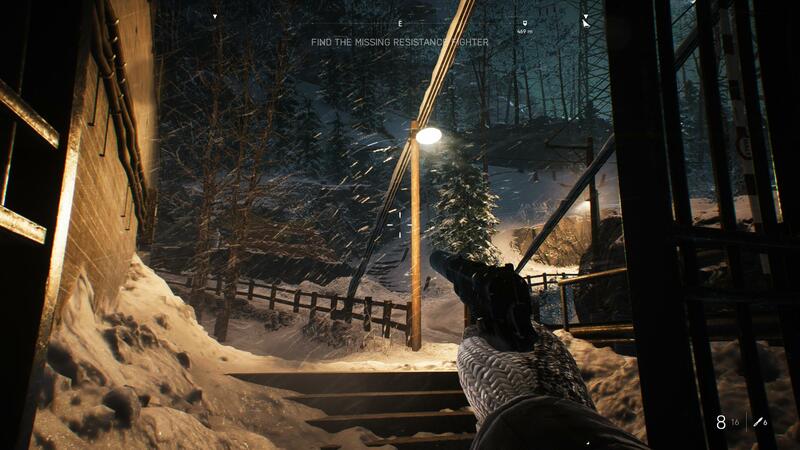 Outside, in the snowy and frigid forests of Norway, Solveig Fia Bjørnstad prepares to infiltrate Vemork Hydroelectric Plant and cripple the German effort to produce heavy water, a component in the refinement of fissable materials for nuclear weapons. Sneaking through the valleys and forests by night, Solveig rescues Astrid and recovers a document. 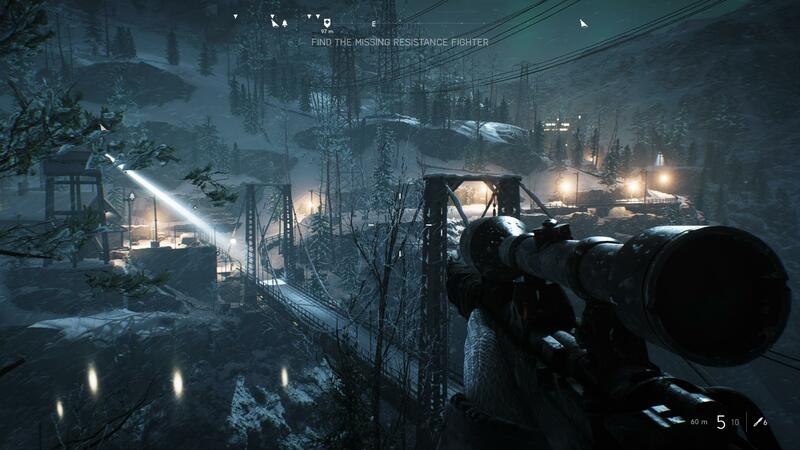 The two are captured, and Astrid pushes Solveig off a bridge to ensure she can continue the mission. 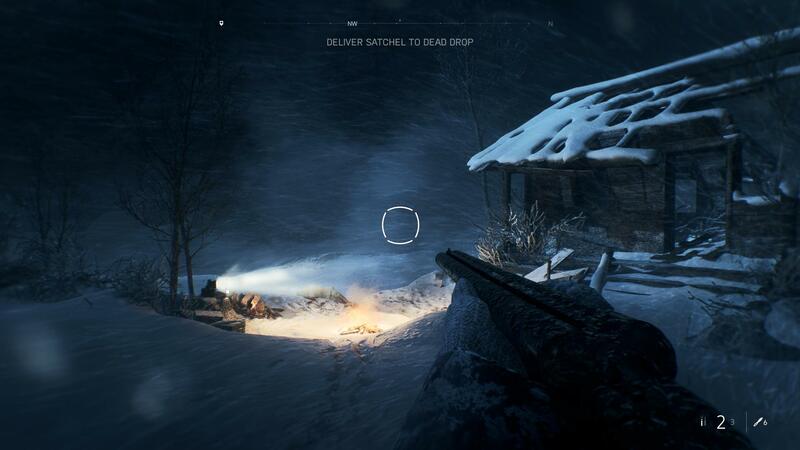 Solveig fights hypothermia to reach a dead drop, and before succumbing to the elements, managing to find a cabin and eliminating the lone German soldier inside. The next morning, she reads a letter from Astrid, and makes her way to a portside town where Germans are storing their heavy water shipments. Her actions alert Germans to her presence, and they evacuate with the last remaining shipment. Solveig gives chase, but a U-Boat appears. Astrid attempts to destroy the heavy water with a stick grenade, sinking the U-Boat in the process and the Germans surround Solveig, leaving her to an unknown fate. Nordlys (Norwegian for “Northern Lights”) details the Norwegian heavy water sabotage operations conducted by saboteurs between 1940 and 1943 to prevent the Germans from acquiring the heavy water needed to manufacture nuclear weapons. 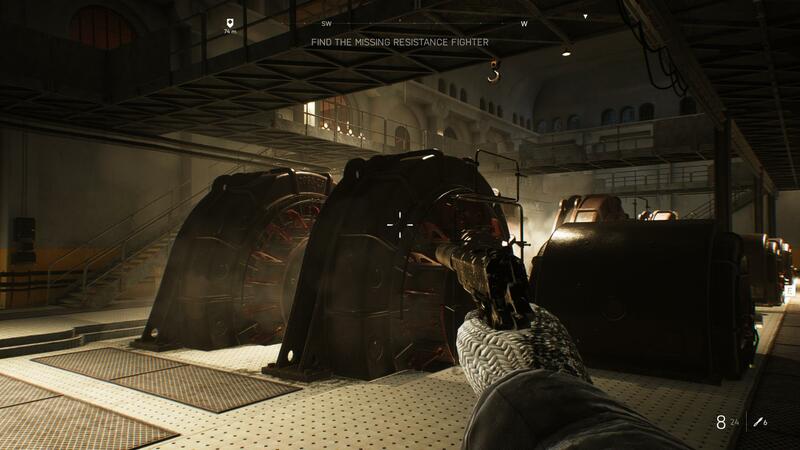 While modern perspectives find that the heavy water produced at Vemork Hydroelectric Plant had a very low purity and would have unlikely been useful, the bravery of the resistance members involved in the sabotage are recorded. The prospect of Nazi Germany in possession of nuclear weapons was a sobering one, and the Allies made an active effort to cripple the German heavy water programme. By February 1943, the Special Operations Executive (SOE) and Norwegian operatives managed to destroy the production facility. In conjunction with Allied bombing raids, the Germans ceased operations at the site, and the Norwegian heavy water sabotage programme is presently counted as one of the most successful sabotage operations during the Second World War. 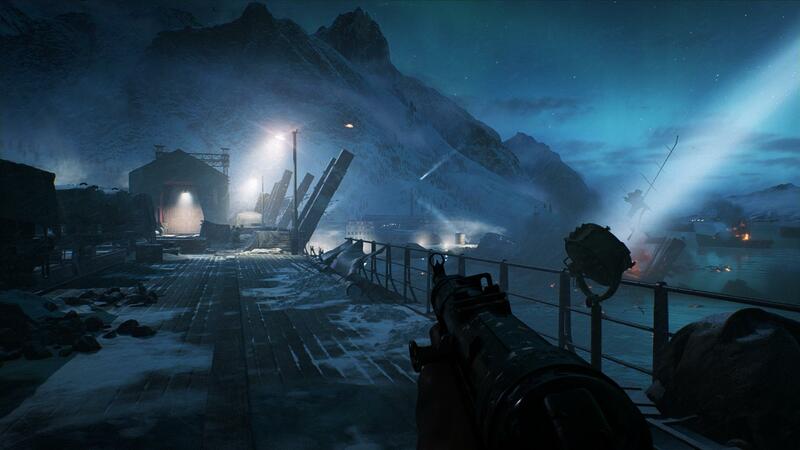 Prominently a stealth mission, Nordlys is also perhaps the most visually spectacular, beautiful War Story available in Battlefield V. The bite of a winter’s night is offset by the presence of hauntingly stunning Aurora Borealis adjourning the skies. Slipping through the woods like a ghost, it is easy to see how Norway can seem unsettling: the land is remote, desolate but beautiful, and it attests to the sense of unease both sides of the war would have faced in their efforts to come out victorious. While the Germans may view the Norwegian resistance as monsters in the forests, their own determination to create a technological terror is also akin to opening Pandora’s Box. Even though players see things from Solveig’s perspective and conclude that she’s no monster, creating this sense of uncertainty adds to the sense that in war, both sides have their fears and objectives. 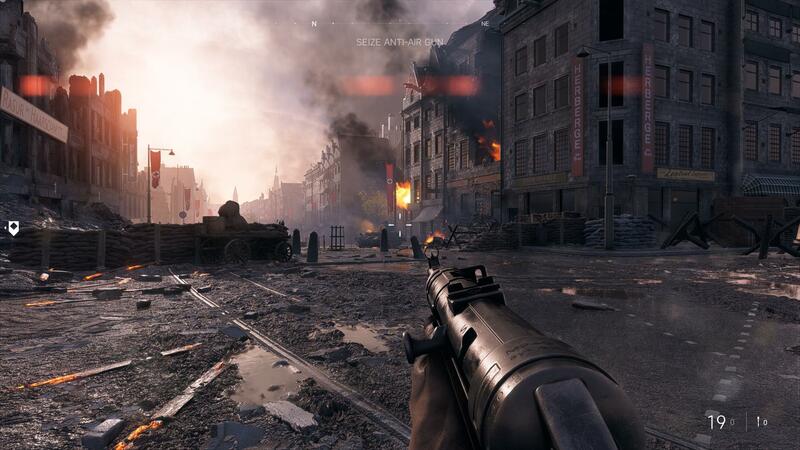 Battlefield V mentions that humanising one’s enemies is a surest way to lose the war, , and similar to Battlefield 1, suggests that if we could humanise our enemies, war might not be as vicious or commonplace. 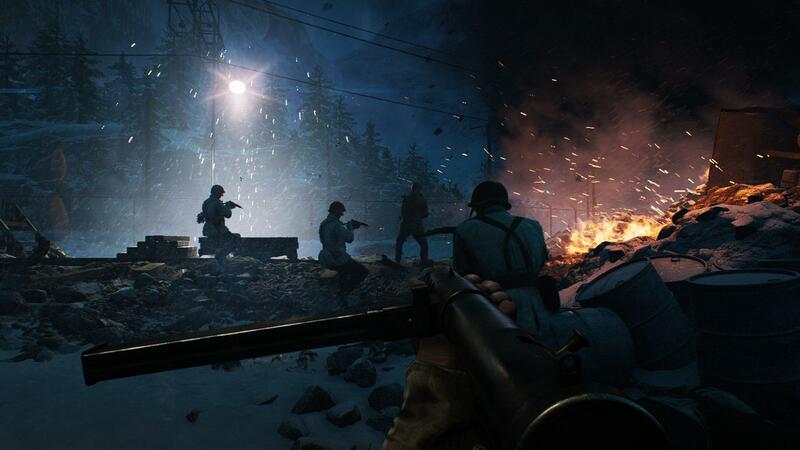 Compared to the likes of the Normandy Beach landings or the operation to capture Berlin, heroics such as those undertaken by Norwegian resistance members have largely been forgotten. 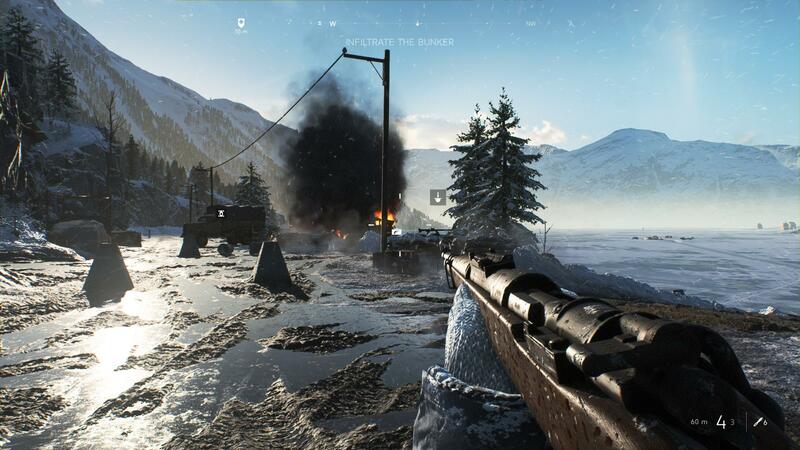 By taking players into the frozen landscapes of Norway, Battlefield V‘s War Stories both serve to remind players that bravery can definitely take all forms, are motivated by reasons distinct to different individuals and that World War Two was a global conflict, leaving even the most isolated parts of the world untouched. 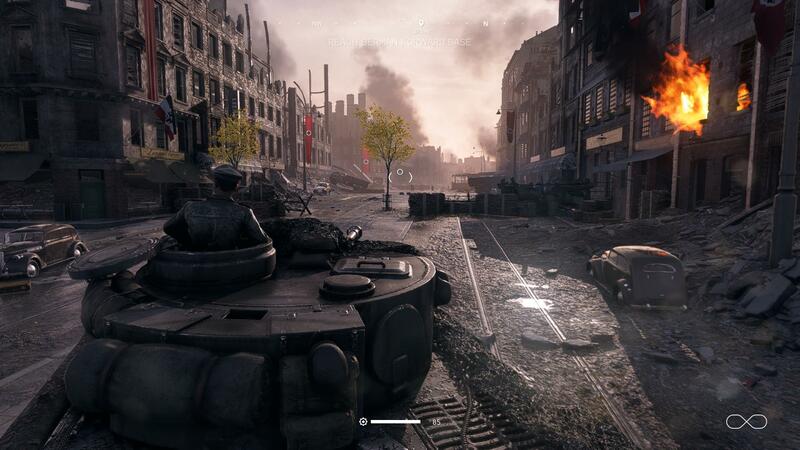 From a game-play perspective, this means fighting a war somewhere faraway from the familiar operations, allowing players to explore locales that most World War Two games don’t visit and seeing how powerful the Frostbite Engine is. Stealth is ostensibly encouraged in Nordlys – Solveig is equipped with throwing knives that are one-hit kills and totally silent, but have massive drop and thus, take some skill to use. There are numerous paths in the first act, allowing Solveig to sneak past patrols undetected, although there are also some seemingly contradictory challenges. As with Under no Flag, these challenges are designed to encourage multiple playthroughs, and when I return, I will doubtlessly be on easy difficulty to blow through things faster. 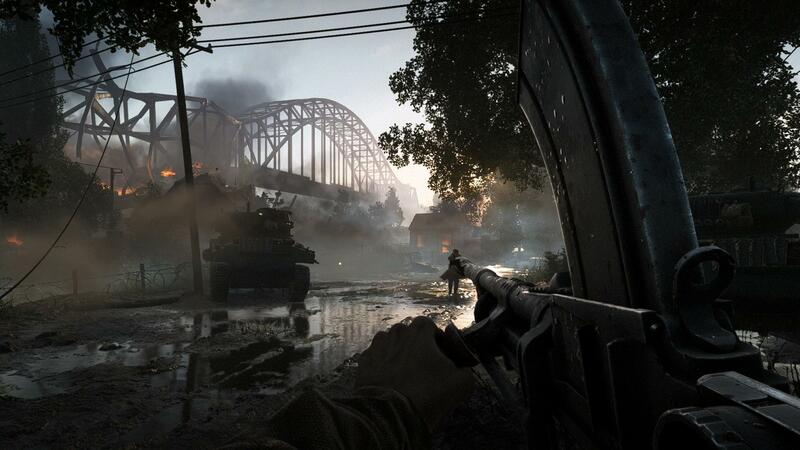 Players who sneak under the bridge using the lower deck will be rewarded with a suppressed M1911. 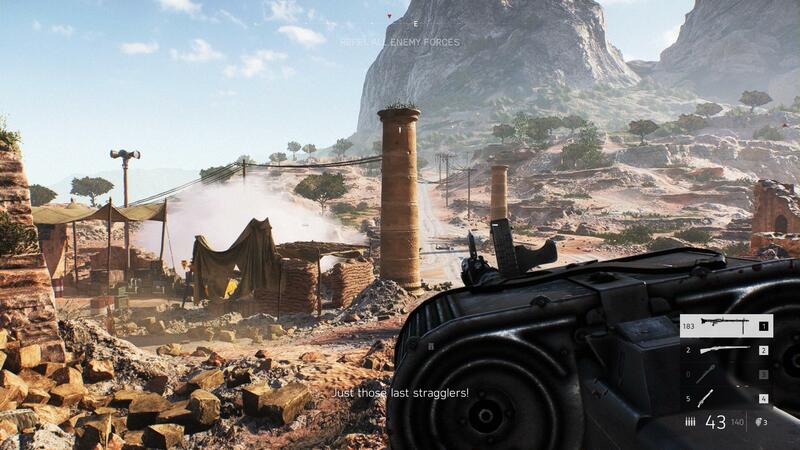 Suppressed weapons are unavailable in the multiplayer at present: earlier Battlefield titles gave suppressed weapons unique attributes to mix up gameplay, but this has gone away since Battlefield 1. 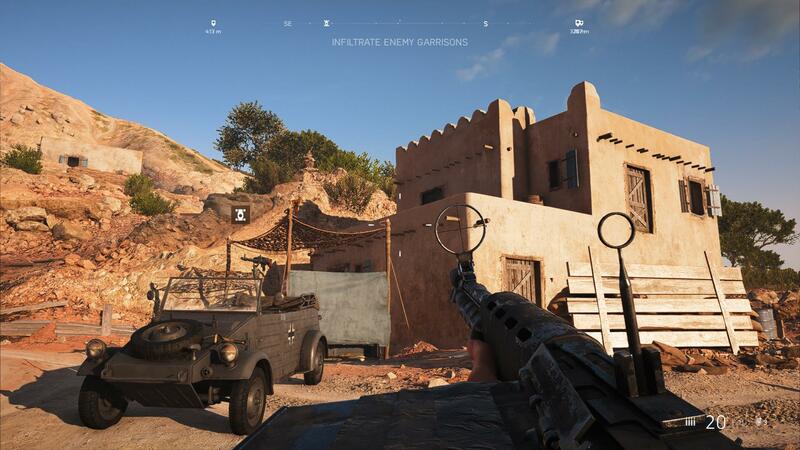 In the campaign, however, they remain useful, and the M1911 allows me to run the James Bond loadout, giving me one more option for dealing with lone guards. 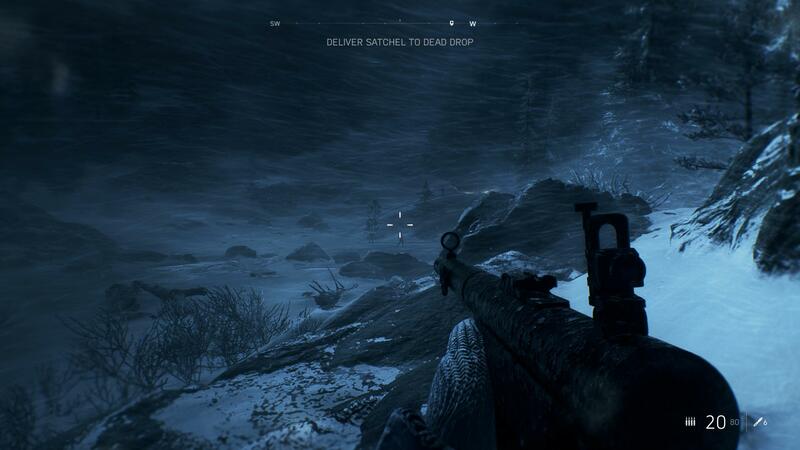 While the forests of the True North Strong™ are about majesty and beauty for me, the taiga of the Nordic countries and Siberia are a bit more haunting. 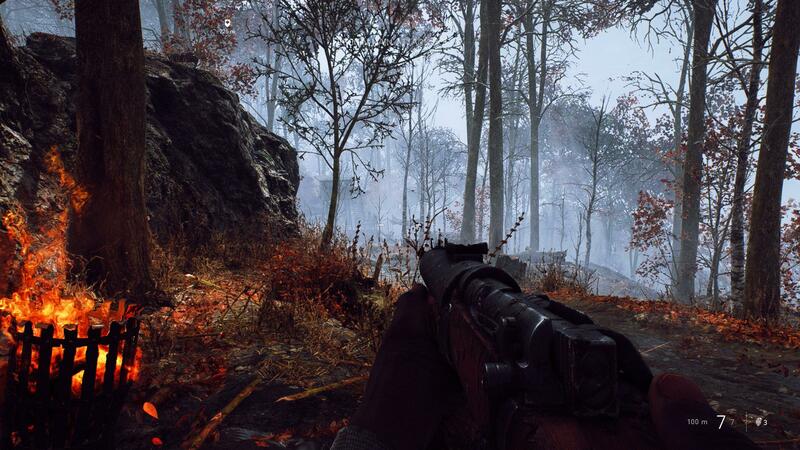 Despite the knowledge that I am playing as one of the “monsters in the woods”, the cold, lonely forests of Norway seem quite uninviting here, and passing through a German camp, the fires add an inviting warmth to an otherwise cold-feeling level. The Aurora Borealis in Nordlys are perhaps the most impressive I’ve seen in any video game, even besting those seen in The Eldar Scrolls V: Skyrim. It’s been nearly six years since I picked up Skyrim on a sale, and while I had a great deal of fun in the game, my library has since expanded considerably, so I was finding less time to go through Skyrim. However, I did unlock the Clear Skies Dragon Shout, which allowed me to spawn Aurora Borealis at will during the night. 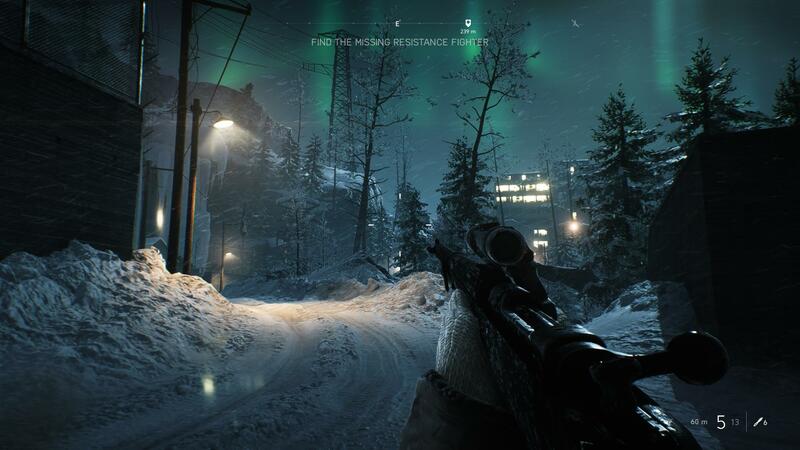 The graphics of Battlefield V are even more impressive, and as I make my way to the hydroelectric plant, the beauty of the aurora are apparent. Aurora are commonly green, a consequence of solar particles interacting with oxygen molecules at an altitude of 240 kilometres. Blue and red aurora come from interactions with nitrogen molecules at different altitudes. Here, I make my way into the facility: having blown the stealth challenge, I decided to go loud for the remainder of the mission. 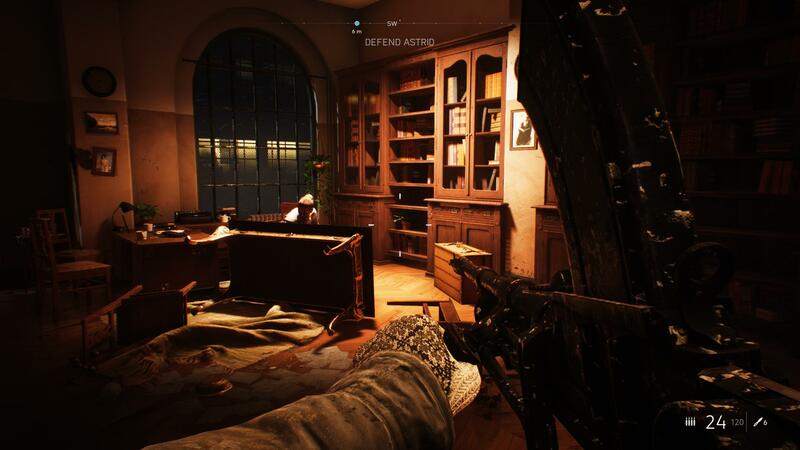 Solveig encounters numerous weapons during the mission, and I went with a combination of single-action rifles, the suppressed M1911 and the FG-42 en route to the plant. In reality, the Vemork Hydroelectric Plant is located outside of Rjukan in Norway, was opened in 1911 and was the world’s largest power plant, producing an output of 108 MW. It produced heavy water from 1934 until 1971, after which it was closed. A new power plant replaced it, and the old site became a museum in 1988, detailing the Norwegian Heavy Water Sabotage programme. When Solveig is running through it, heavy water production is going full force. 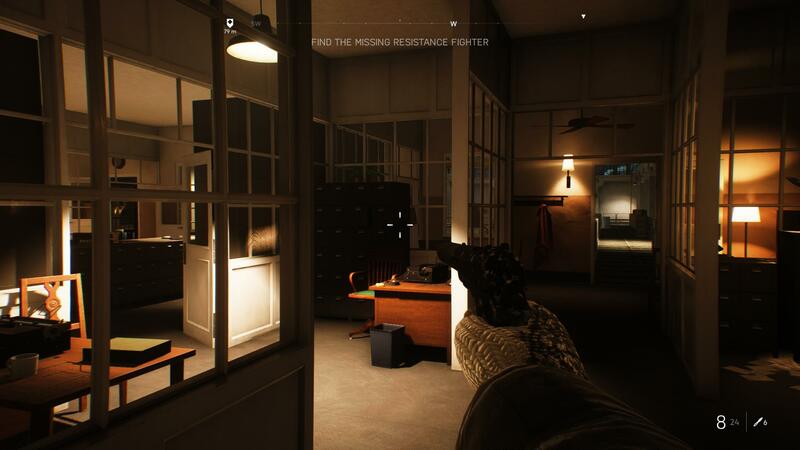 Sneaking through an empty building, with a suppressed pistol, by night, during the winter, reminds me of 007 Nightfire‘s The Exchange. 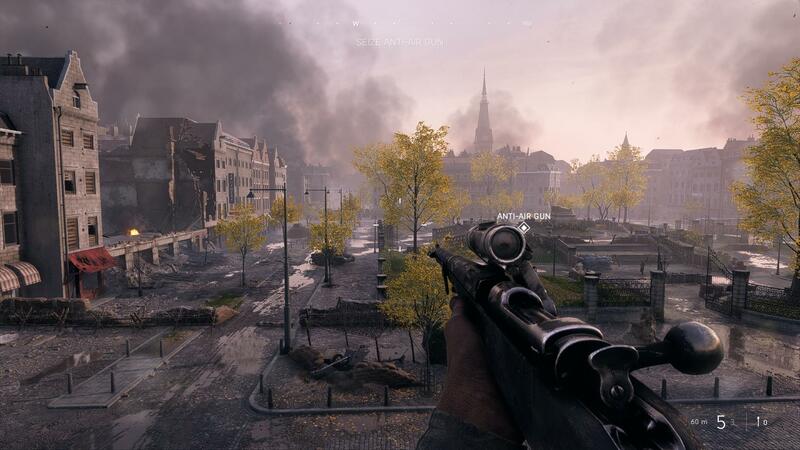 Since Nightfire, shooters have come a very long way, although Nightfire holds a special place in my books for being the first FPS I’d owned: during Christmas, I used to play various 007 games on my cousin’s Nintendo 64 and GameCube, coming to associate Christmas with the atmospherics in a James Bond shooter. I would tend to say that of the James Bond shooters, Nightfire is probably the most polished, with an engaging campaign and fun multiplayer. One of my longstanding dreams is to travel to historic World War Two sites in Europe: the Vemork Hydroelectric Plant is probably far removed from what might be considered accessible, so I’m probably not to walk through the same halls that Solveig have walked through. There’s a charm about Germany and Austria, so I’m thinking that in the future, my first vacation to Europe will be riding a train through the mountains of Austria and visiting timber-framed German villages. My German is completely gone now – despite having taken German during all three years of my high school, I’ve not once used the language since university. In fact, I would tend to think that I am more proficient now in Japanese than I am in German. If I should choose to visit, I think revisiting some of the basics would be useful. 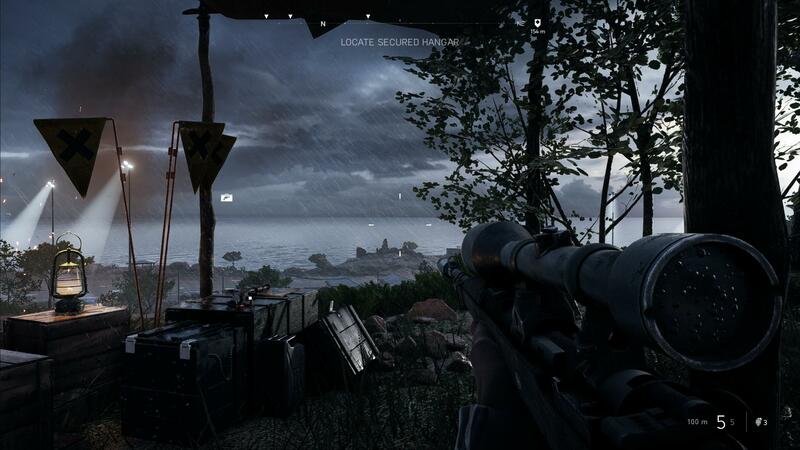 Back in Battlefield V, I managed to reach Astrid, and knowing that the remainder of the mission is a protracted firefight, I found myself a Bren gun. This is Perrine’s weapon of choice in Strike Witches, and is suited for use against the hordes of German soldiers that appear: the single-action rifles are a bit too slow for close quarters. 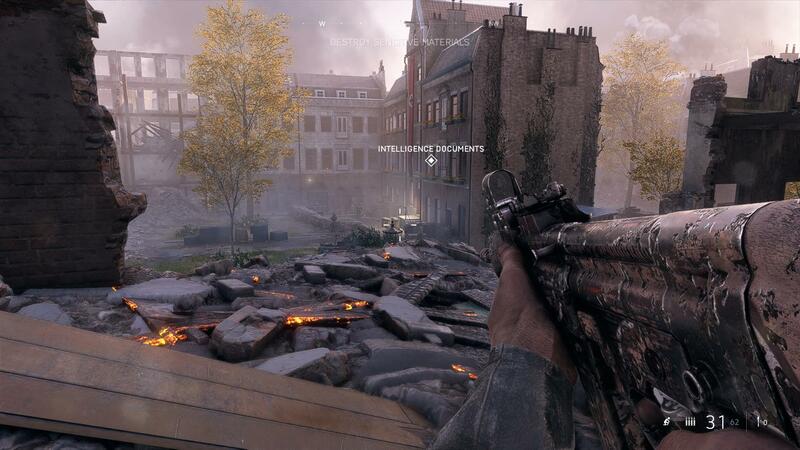 In the multiplayer, the Bren’s biggest disadvantage is its magazine, which is highly obstructive: I’ve not run the Bren with any frequency. 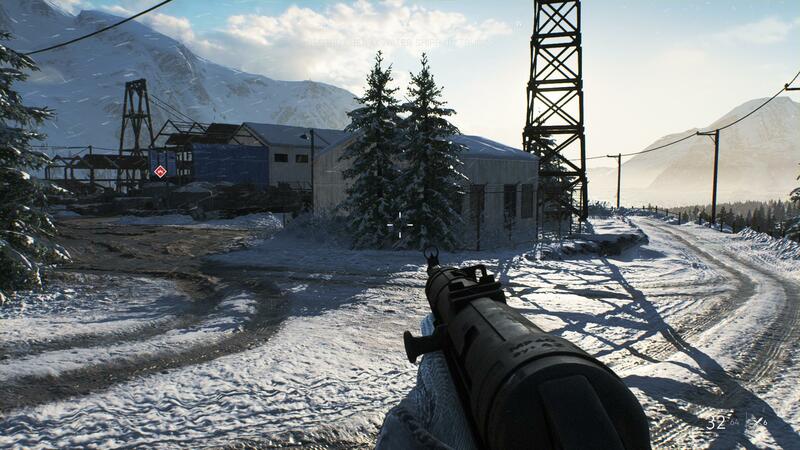 The FG-42 is another solid weapon: of the light machine guns, the KE-7, Bren and FG-42 handle most like assault rifles. 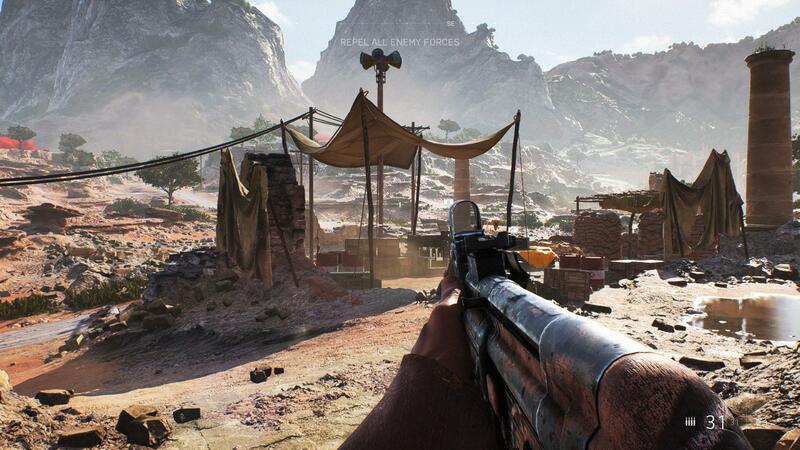 During the days of the beta, the FG-42, when fully upgraded, was considered the best LMG available. 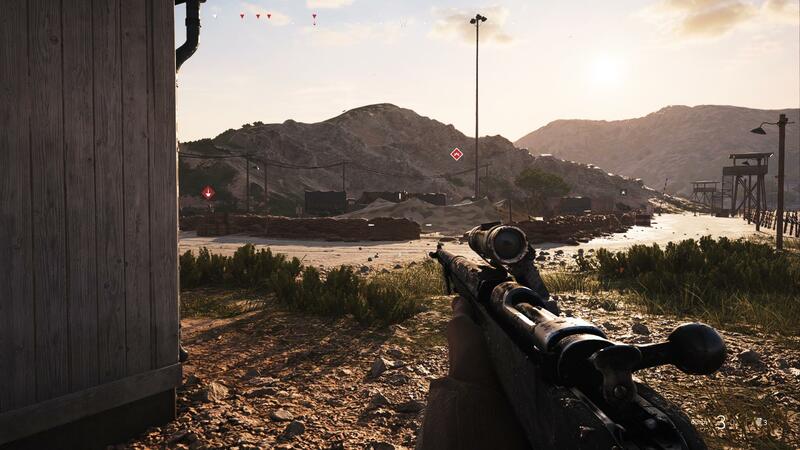 At present, it’s a reliable firearm that is balanced and satisfying to use, and I usually roll with either the Nydar Sight or 3x optics: iron sights have never really worked well for me in Battlefield, so I avoid them where possible. The darkest part of the Nordlys mission is the second act, where Selvig must deliver a dead drop during a raging blizzard. 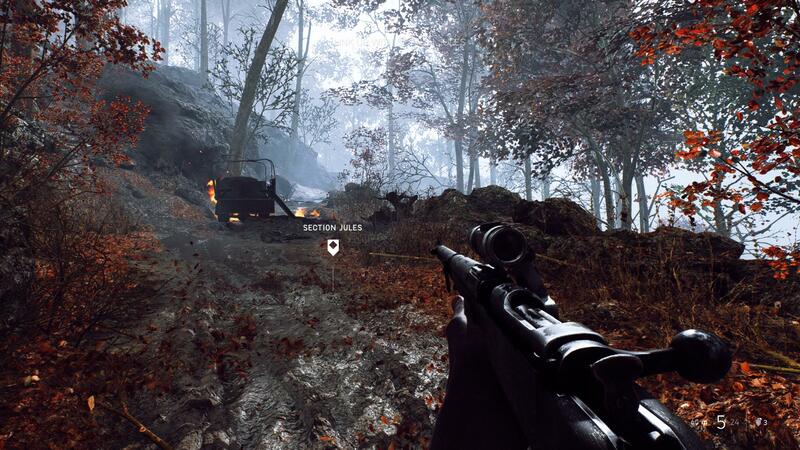 She has access to the M30 Drilling, but there is no option to use the rifle barrel as far as I am aware: I’ve not found any rifle cartridges, and in the campaign, the M30 seems to be a double barreled shotgun only. Hypothermia is a part of the game mechanics here, and Solveig must stop to warm up by the fires periodically to avoid freezing to death. 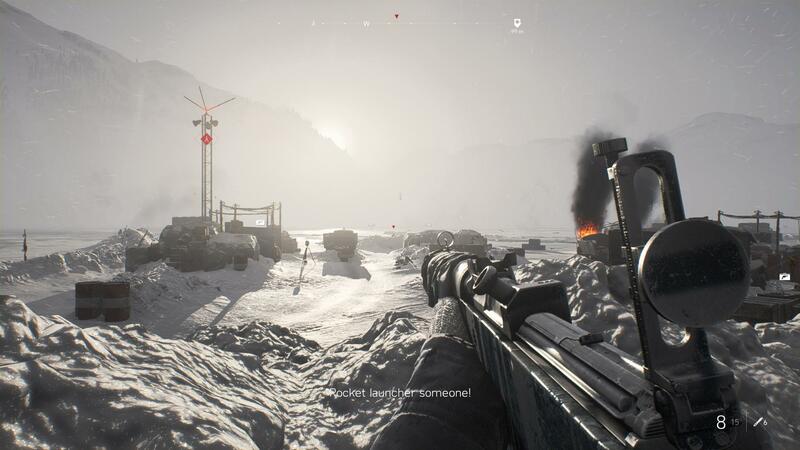 This is an element that was last seen in Battlefield: Bad Company 2’s Snowblind mission, which sees Marlowe separated from his squad, following with his making his way down the mountain during a massive blizzard. On the topic of bitterly cold, snowy weather, a cold wave has struck my area. At the time of writing, it’s been sixteen straight days of -20ºC (-4ºF), with windchills reaching upwards of -40ºC (-40ºF) and yesterday evening, a fierce snowfall hit the area, reducing visibility and making roads dangerous. It grows tiresome to have to go out to weather so cold it bites at any exposed skin, but forecasts show that the cold might be reaching an end. 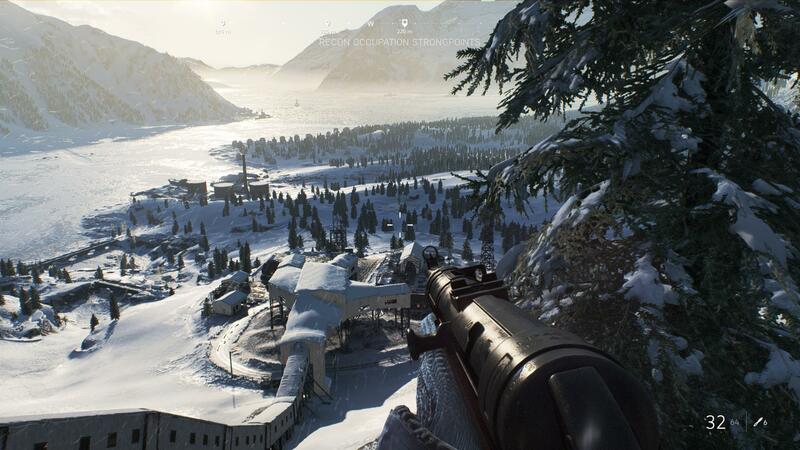 Skiing is a part of several sections in Nordlys, and Solveig can use this to quickly surprise enemies. 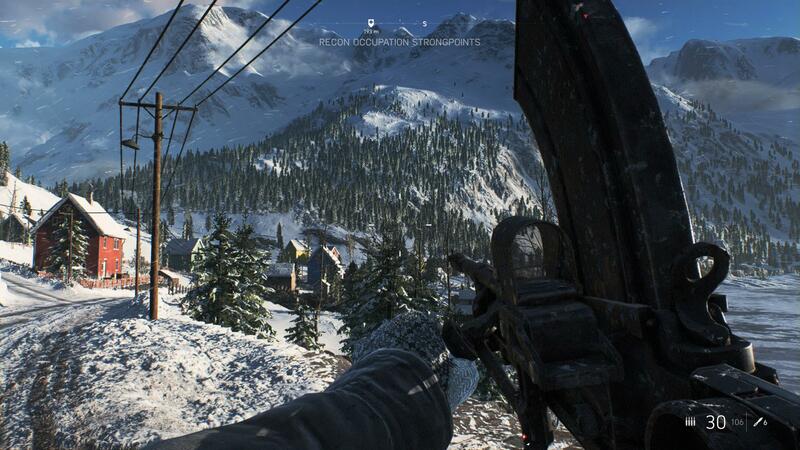 One challenge entails killing an enemy with a throwing knife while skiing, and to cheese this assignment, I simply equipped the skiis and then threw a knife at an enemy. After the long dark of the night, return of light into Nordlys’ final act was very welcome, and the Norwegian village here looks like it comes fresh out of a Christmas card. 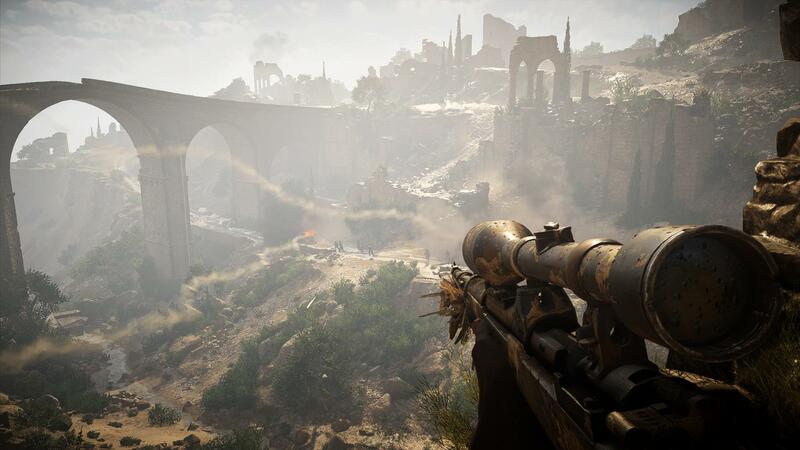 Like Under no Flag and Bad Company 2‘s Sangre del Toro mission, the final act of Nordlys gives players the freedom to visit three sites and destroy their targets in any order. 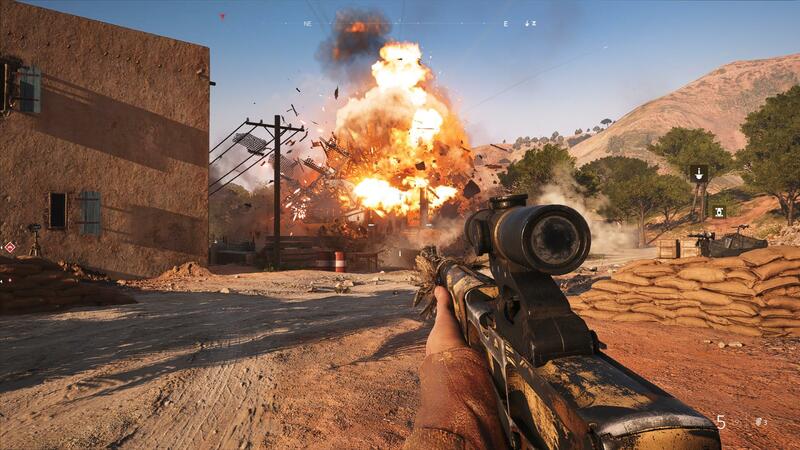 Stealth is again a part of the gameplay, but at this point, since players will be causing explosions anyways, I figured that there was little point to staying quiet. During my original playthrough, I was intending to complete the challenge of disabling all alarms, but I might’ve missed one, as the challenge didn’t unlock. 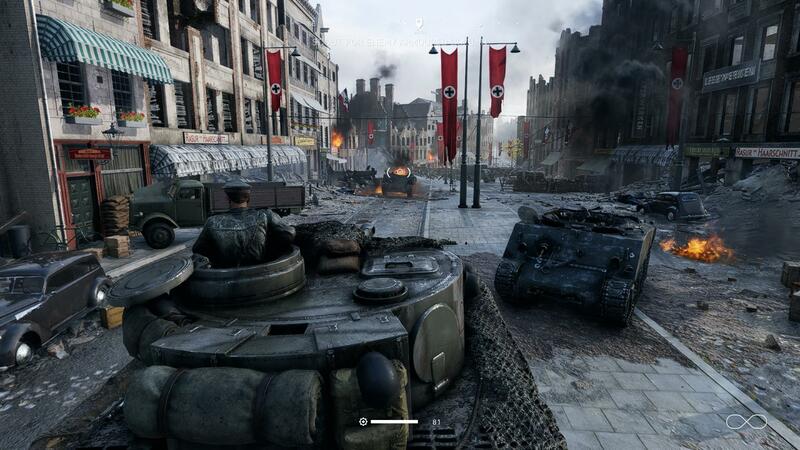 On the topic of unlocking things, Battlefield V‘s latest Tides of War assignment is unfeasible owing to how strict the conditions are, making it an unreasonable use of time to try and unlock the Stug IV. 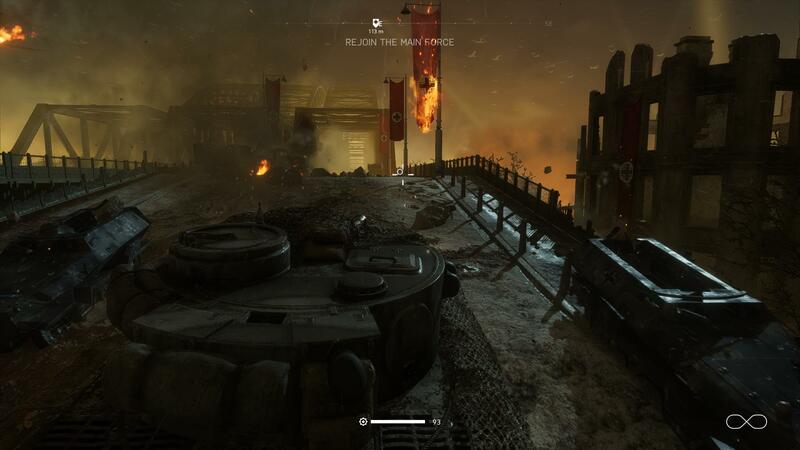 I will likely end up buying the tank with company coin later – it is not worth the frustration to try and get the remaining kills: I spent two consecutive hours without any progress, and that time is better spent doing something else. 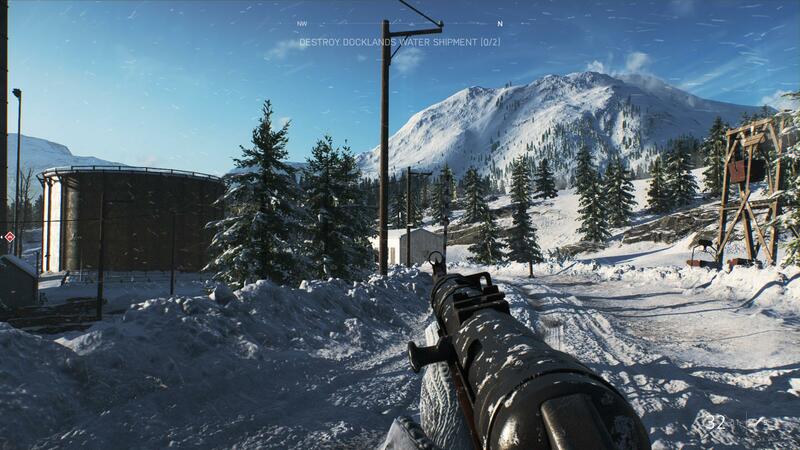 Nowhere else in Battlefield V‘s War Stories are the skies this clear and this deep a blue: Nordlys has definitely captured the feeling of a winter’s morning with its skies. At this time of year back home, the days have begun lengthening again, and the skies are brighter by mid-day. During the shortest days of the year during late December and early January, the sun is very low in the sky, and there is a faint hint of gold in sunlight even when it’s noon. I would suppose that, since I’m in Norway, this is the closest players have to experiencing Les Stroud’s Survivorman Ten Days specials, which aired in 2012. For the Norway special, Stroud started in a remote backcountry road in a broken-down vehicle, then attempts to make his way to more hospitable surroundings. He finds hunters’ cabins and deer remains, making deer soup while a blizzard rages away. Afterwards, his decision to descend the mountains into the valley below leads him to find homes along the coasts of a fjord. I remember that episode best for having a chilling time lapse while Stroud describes the dreams he has while sleeping after his first meal in a while, having watched it in between studying for the MCAT. Here, as I make my way to a cliffside bunker where heavy water shipments are held, I walk along a highway adjacent to the water’s edge. This area reminds me of the roads along the lakes of Interior BC; a few months ago, I was out here for the salmon run; the skies were deep blue and trees were turning yellow as autumn was setting in. I imagine that, in the deep winter, some of these highways would be quite difficult to traverse, as they are covered in snow. I’ve heard a non-trivial amount of controversy surrounding DICE’s decision to use Solveig in place of a male commando unit in Nordlys floating around on the ‘net. 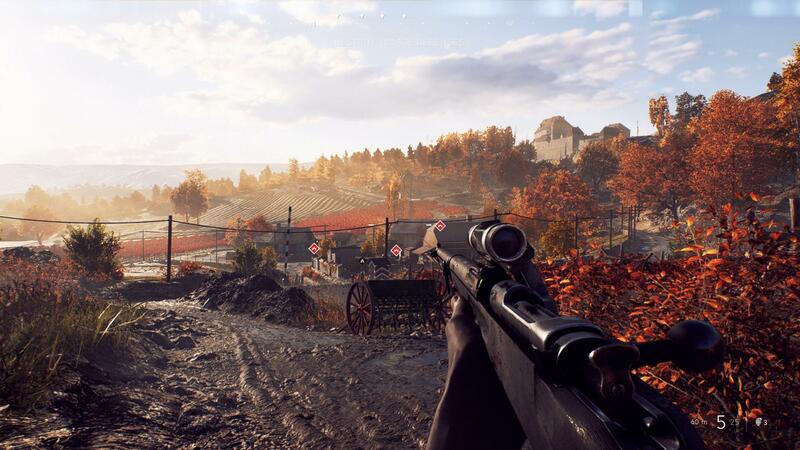 For me, playing as Solveig did not change my gameplay experience in any way, so I’ve got no complaints whatsoever. 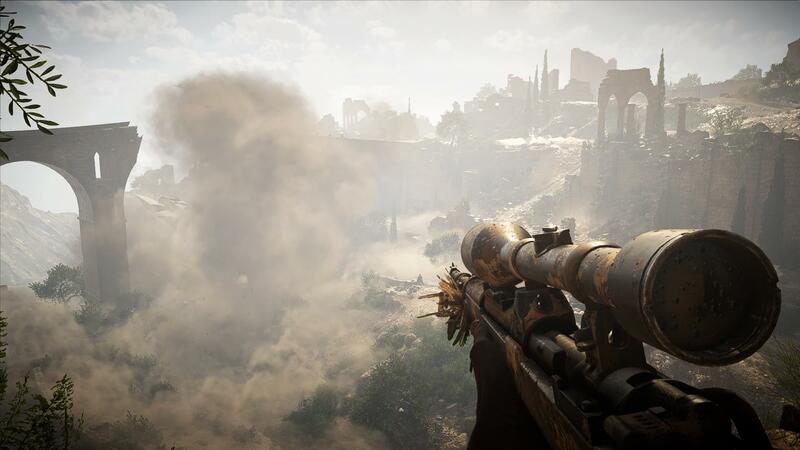 It seems that, following the culture war surrounding games and games journalism in 2014, the community has become only more vociferous at perceived “threats” to games: my own thoughts are that, so as long as game mechanics do not become negatively affected (i.e. as long as we’re not stuck playing games made in the Twine Engine, or by those who only have the vaguest ideas about how Unreal 3 works), I’m not terribly worried. Back in Nordlys, I reach the end of a mission, where a mid-day snowstorm transforms the skies into the sort of miserable grey that has dominated the weather in my area for the past few days. There’s some cover here amongst the equipment, and it is prudent to make use of it while returning fire on the German soldiers. 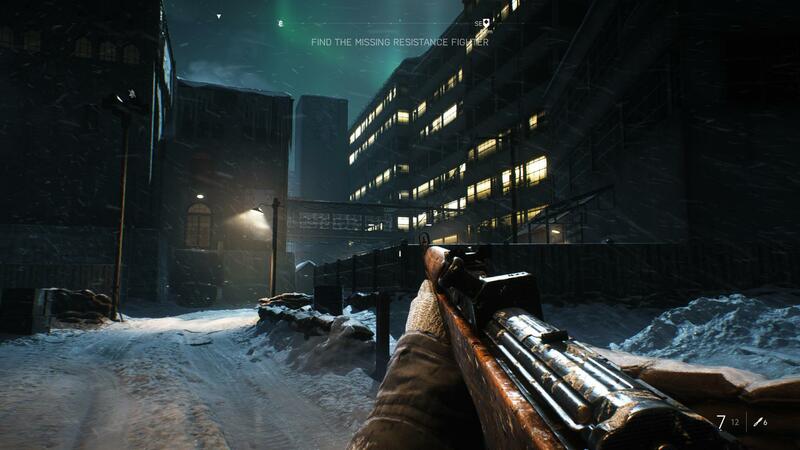 The mission ends here, and while Solveig’s fate is unknown, what is known is that the resistance’s efforts will have a tangible effect on Norway. 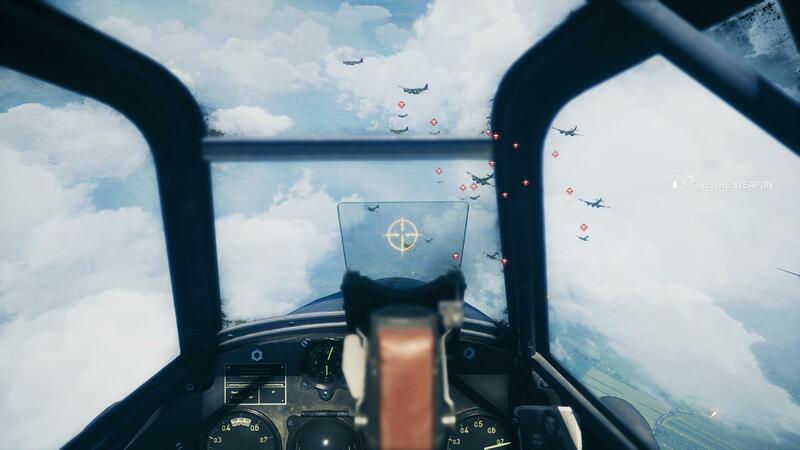 I will be writing about the Tirailleur mission for Battlefield V, but before then, Ace Combat 7 is the next game I will be writing about. My experiences in it are nothing but positive, and I do wish to do this talk justice. 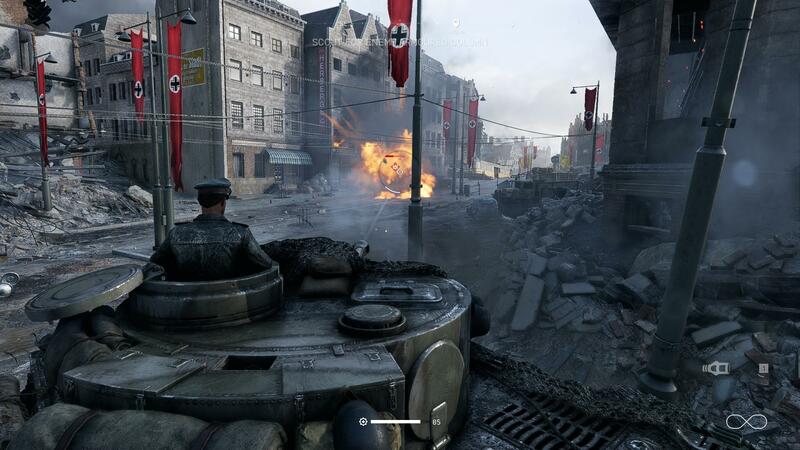 Granted, the War Stories of Battlefield V, in skipping the best-known campaigns of World War Two, have left players largely disappointed that DICE did not showcase a proper Normandy Landing or capture of Iwo Jima in Frostbite: such a mission would have almost certainly blown away all contemporary World War Two games and allow players to experience famous moments with the latest technological developments. 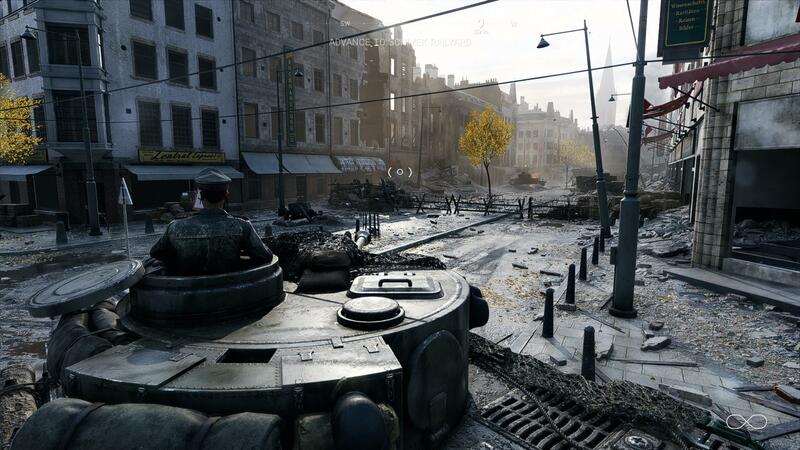 For me, the campaign is a secondary aspect to Battlefield V; previous titles also had campaigns, but the bread-and-butter of the games are largely in their multiplayer components. Having said this, I do enjoy the quiet that campaigns offer to players, allowing one to explore stories and places that are otherwise absent in multiplayer. 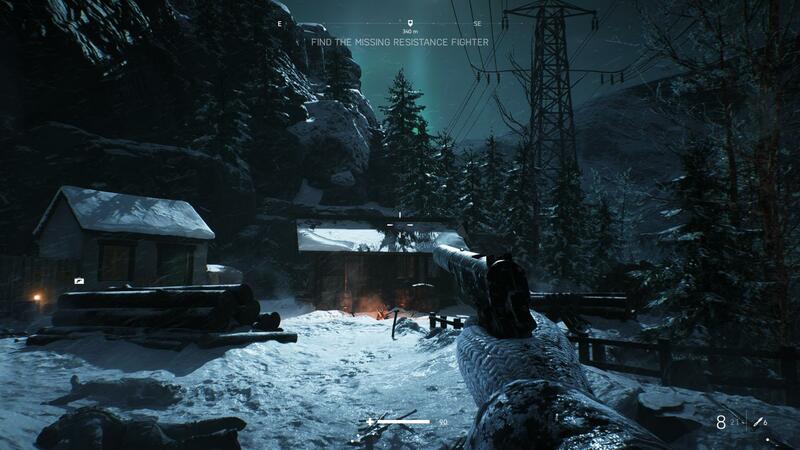 Missions such as Nordlys showcase how modern game engines can be used in conjunction with solid cinematics and voice-acting to create a captivating, immersive atmosphere that, while perhaps lacking the spectacle of multiplayer, act as an enjoyable experience for those looking to experience a story in an interactive, visual format. 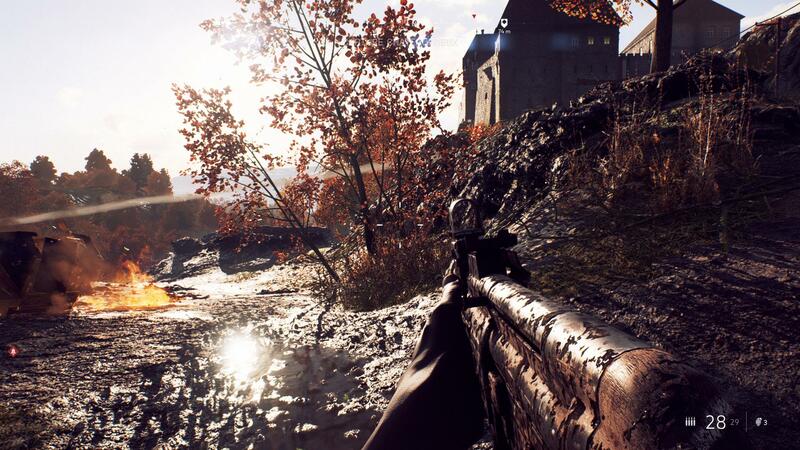 The sense of dread, uncertainty and doubt, intermingled with the beautiful landscapes and skies of Norway were very compelling, and despite my lack of prowess with stealth missions, Nordlys is my favourite War Story in Battlefield V. Given the time, I would very much like to go back and do a full exploration of the level to collect all of the hidden letters and finish the challenges, which would also unlock Solveig’s knife for use in multiplayer.